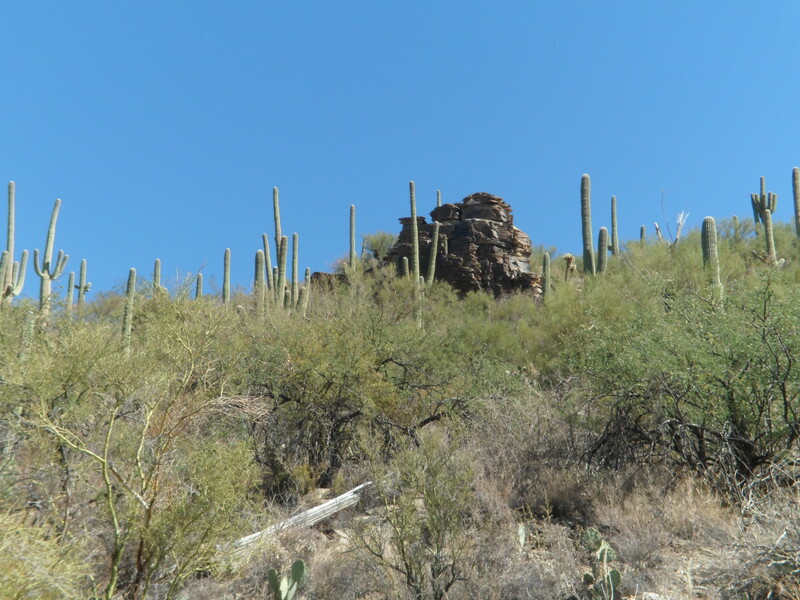 I had the pleasure of visiting one of Tucson’s signature locales, Sabino Canyon, on Saturday evening and Sunday afternoon. 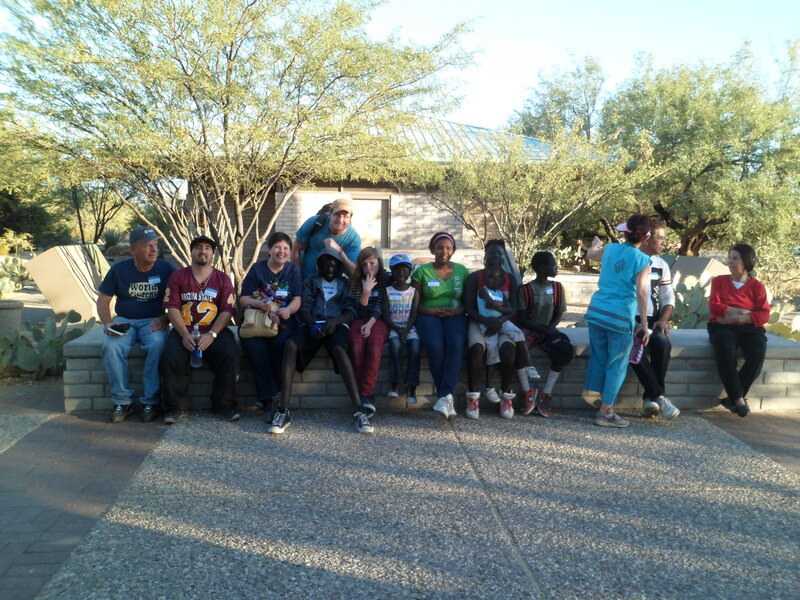 The first journey was taken with a group of Baha’i friends and some children from an apartment complex, not far from the home of one of my friends. 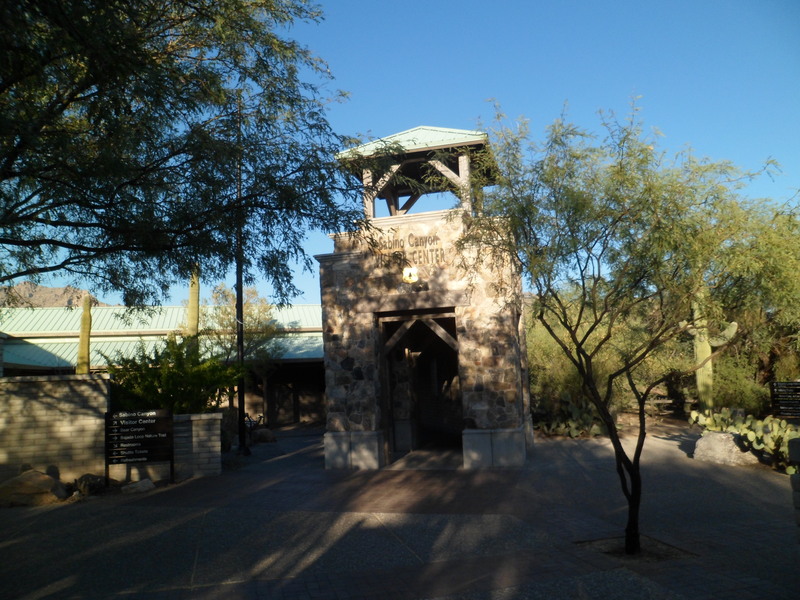 Above is the Sabino Canyon Visitors’ Center, operated by the U.S. Forest Service. 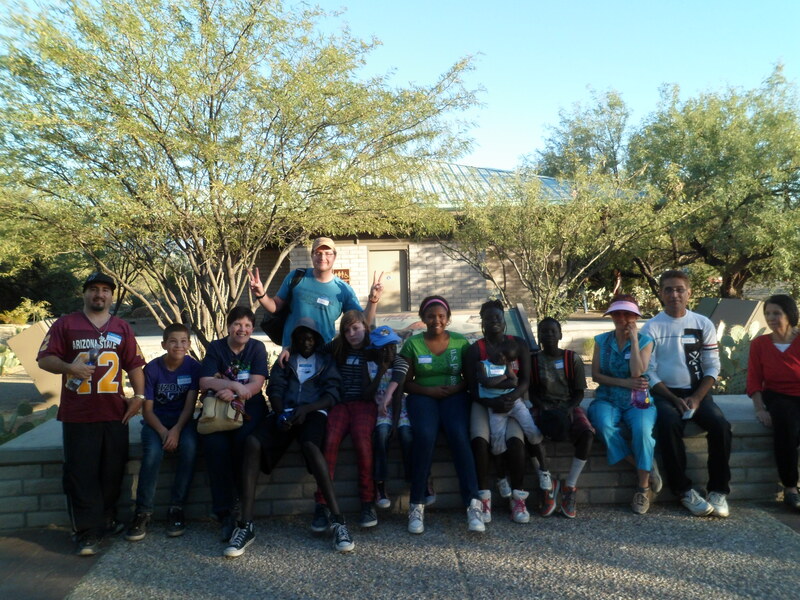 Below are two shots of our happy group. The vigilance of my friend, Annick, kept everyone together. 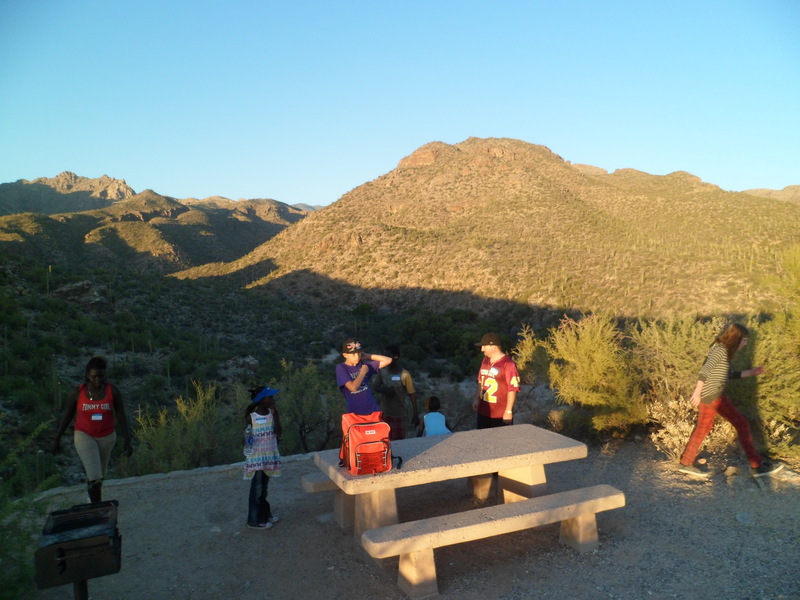 We enjoyed a sweeping vista, from the overlook near our designated picnic spot. 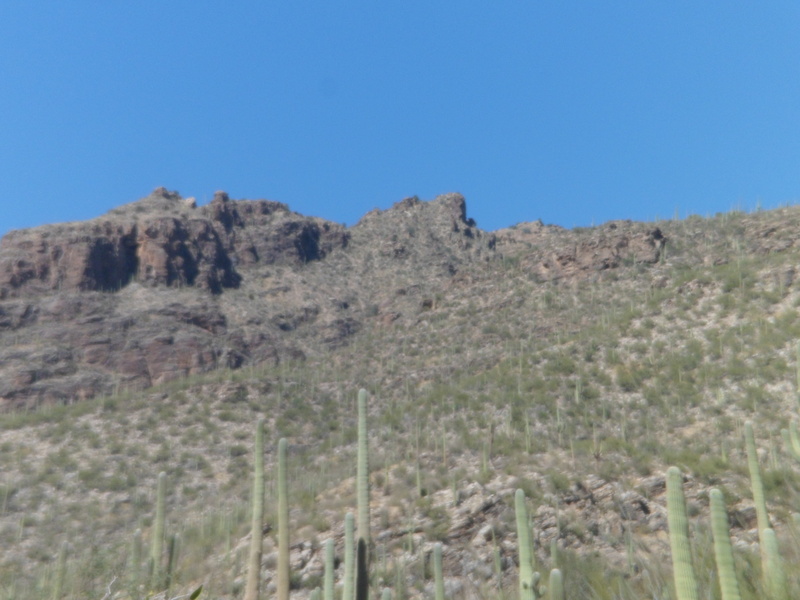 This was my own introduction to Sabino Canyon, and after a restful night and a scrumptious breakfast at Blue Willow Cafe, I headed back to the canyon, for a loop hike. Rocks abound, as always. Some of them used to be trees. 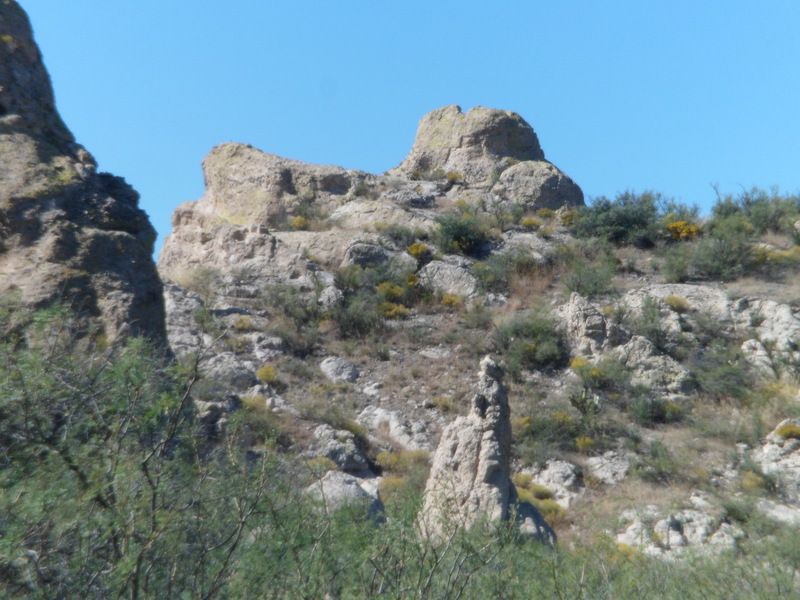 The ridge above leads to Tucson’s own Cathedral Rock, 5 miles to the northwest. 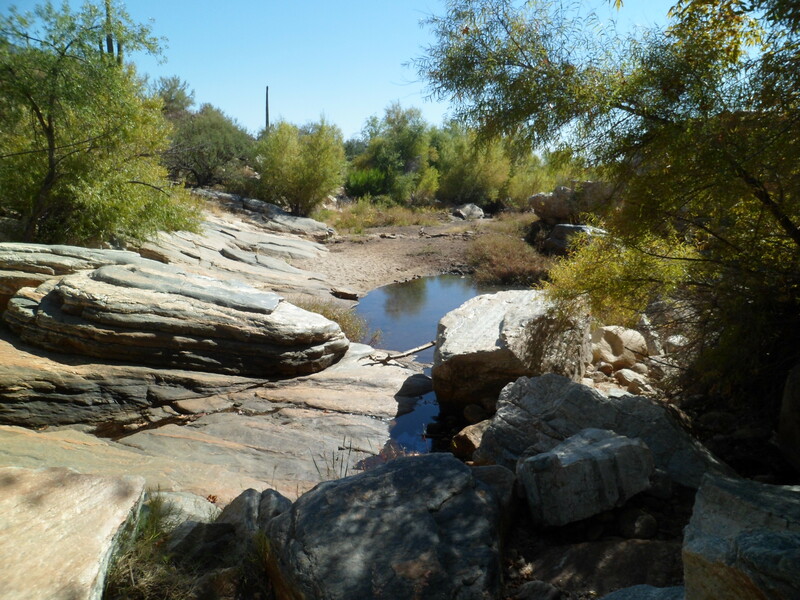 Sabino Canyon was the site of a dam, until the 1980’s. 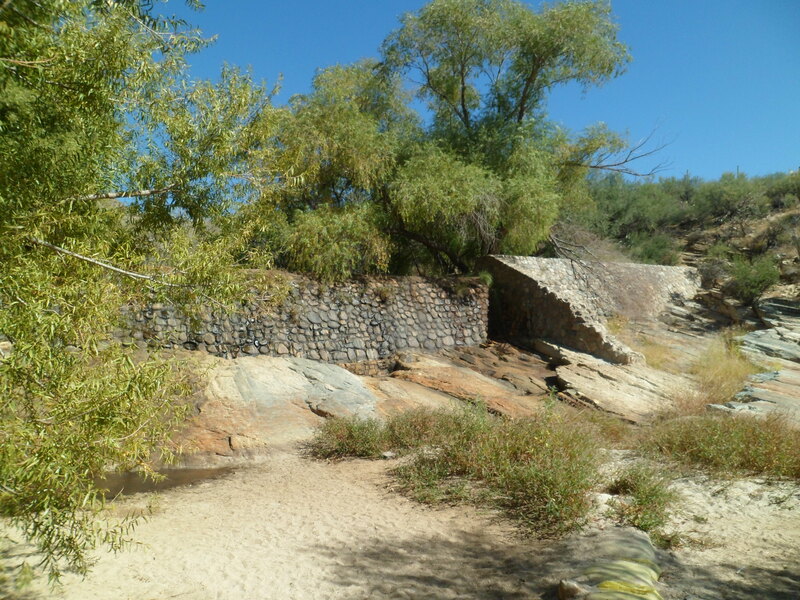 Now the dam, and its “lake”, are but relics of an experiment in irrigation. 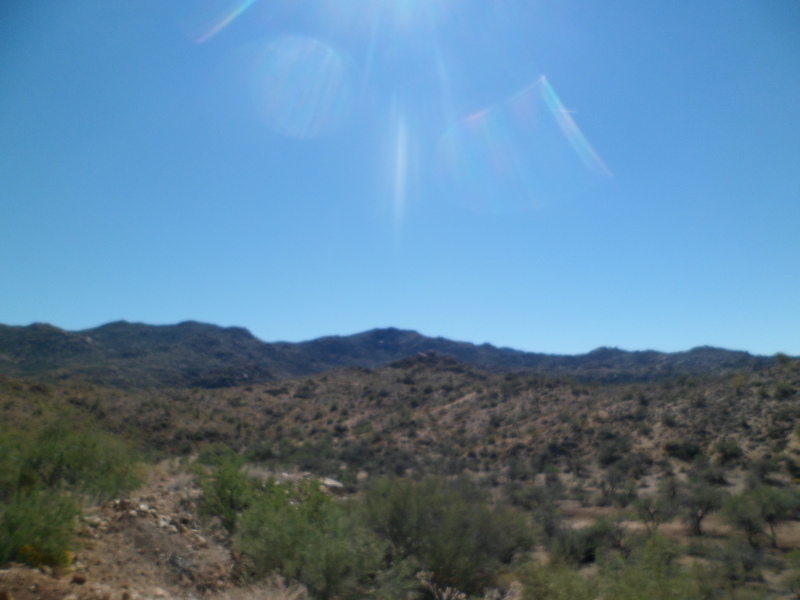 The scenes here are but a taste of the marvels that await the visitor to Tucson. It will be an interesting winter and spring, across this city and across our beautiful state. Stay tuned. 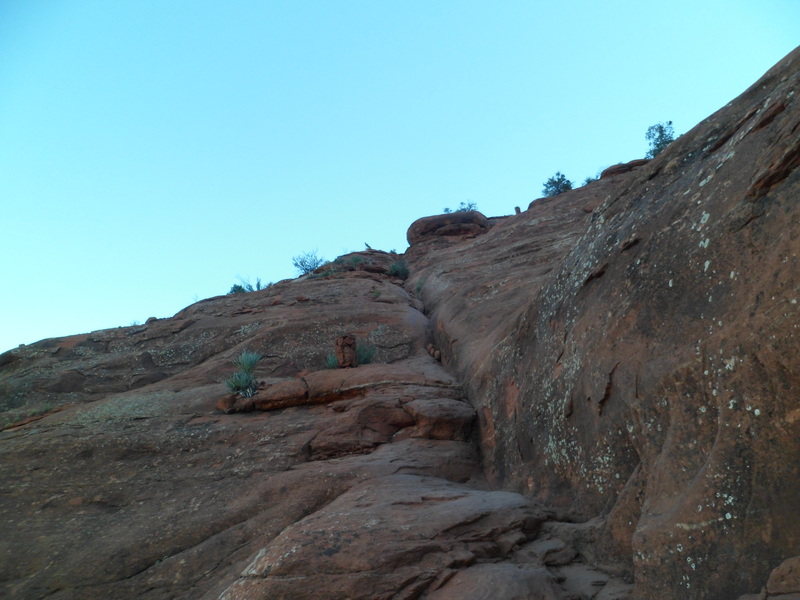 Here is the crevice which one must follow to the second saddle of this formation. I’ve been up worse trails, though, so some day, my intuition may well say- “Go for it”. 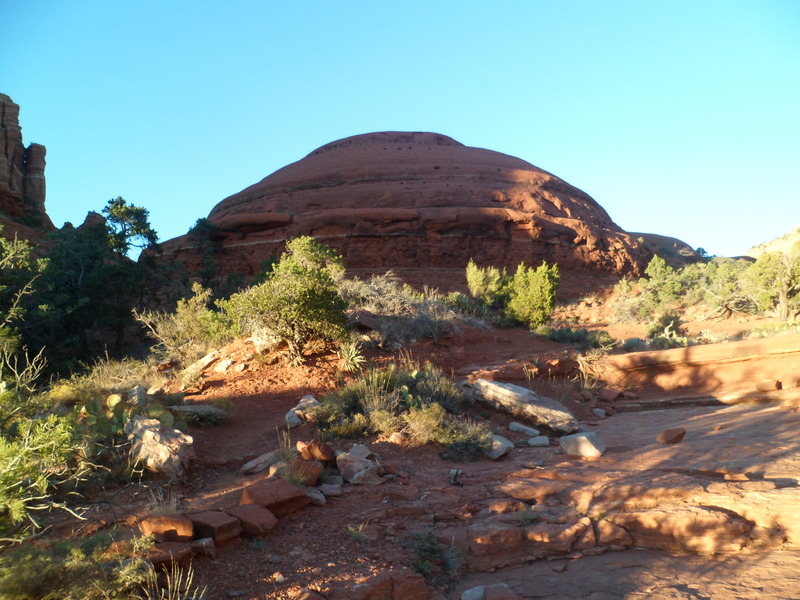 Near Cathedral Rock is the east-west Templeton Trail, a mostly flat mountain bike route, going from a housing area, three miles to the south, to a juncture with Cathedral Trail. It was here that I had two rather mystical experiences. 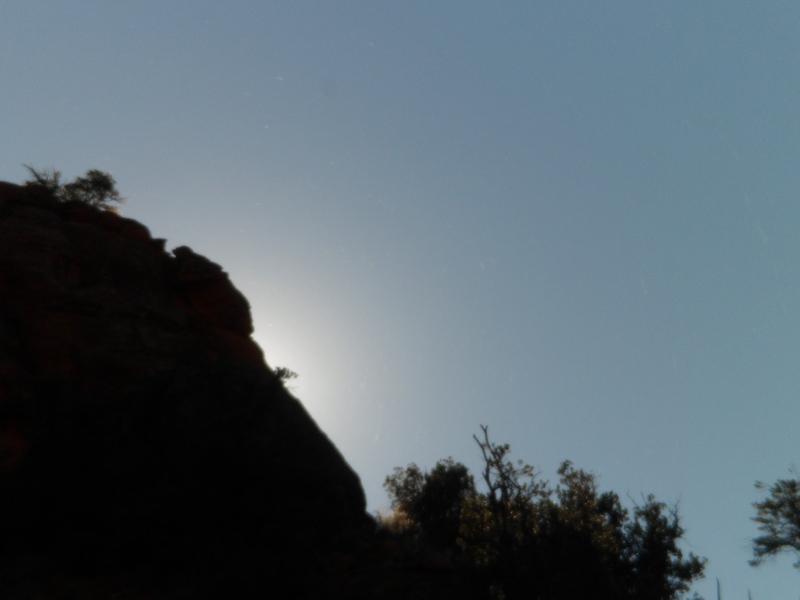 The first was watching wind-blown spider web threads blowing in the wind, with the full sun as a backdrop. I could imagine they were supernatural creatures, come to visit with us on that blessed afternoon. 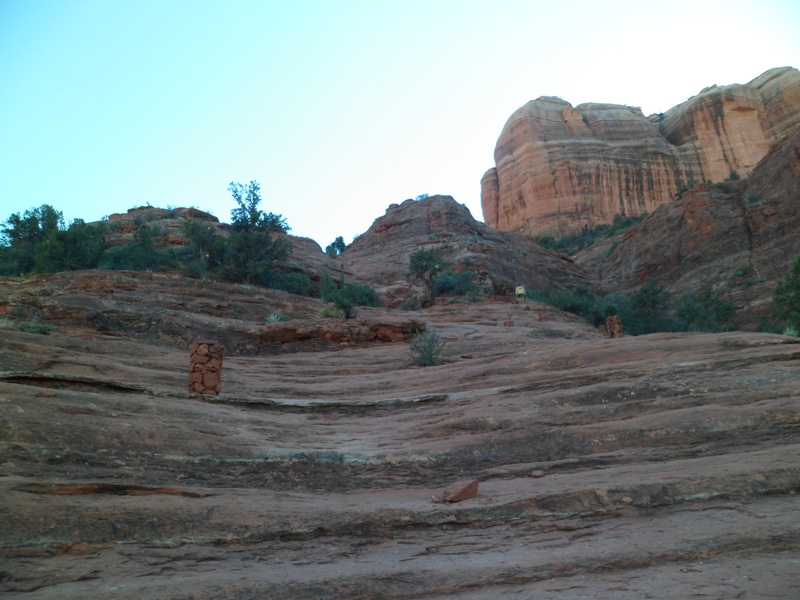 I did sense a lot of spiritual energy at some points along the path. 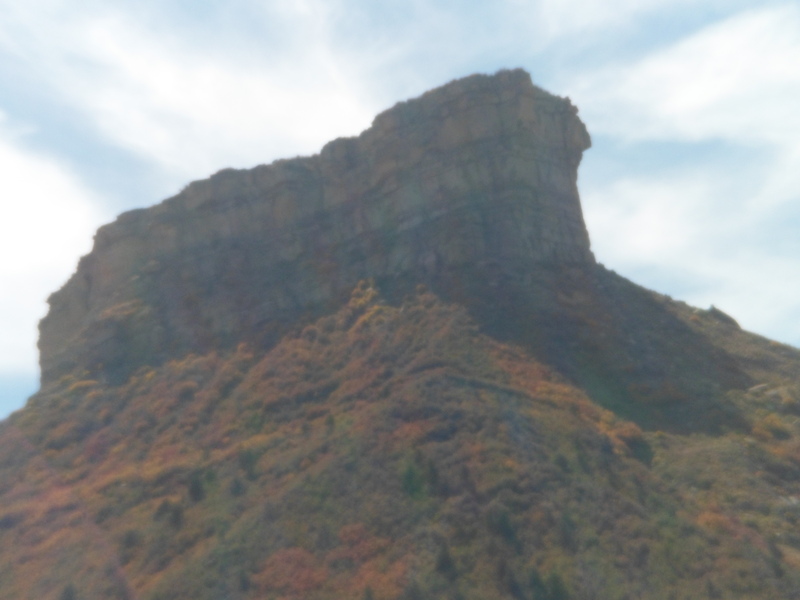 The second eerie experience took place as I was heading back from this view of Chimney Rock. A group of four women and a man approached me, and asked how close they were to the south parking lot. Of course, I didn’t know. The uncanny part was, one of the younger women strikingly resembled Penny as a twenty-year-old. This took me for a loop, momentarily. As they left, the girl chuckled that it seemed I didn’t know quite what to make of her. If she only knew. 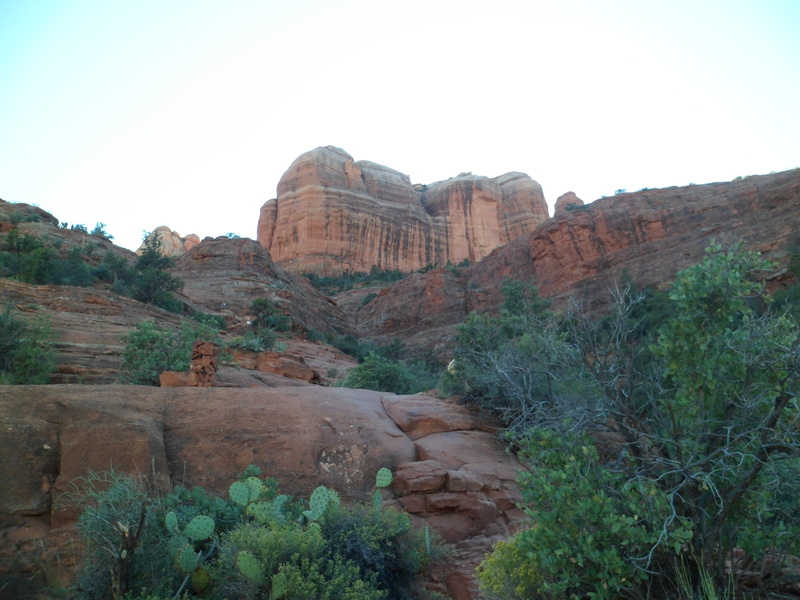 As the afternoon still seemed young, I took in Little Horse Trail, near Bell Rock and hiked it as far as Chicken Point. 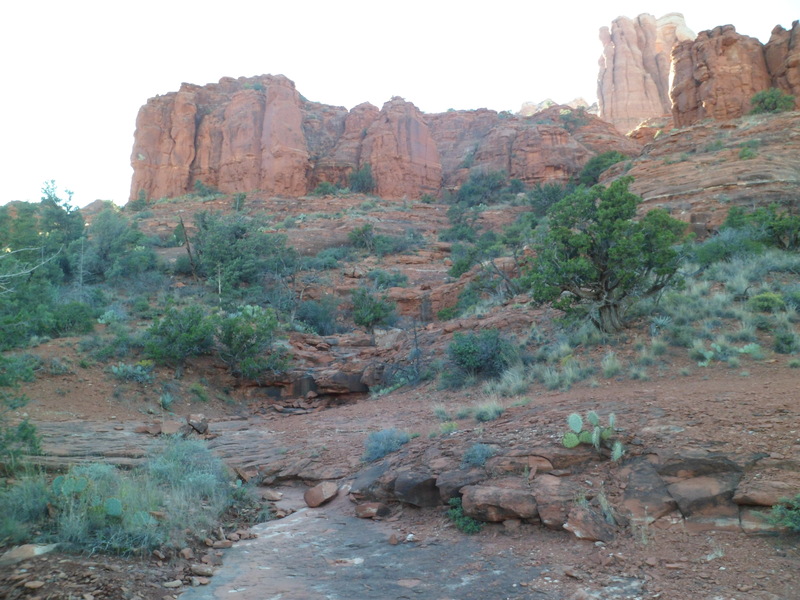 Here is the bench that leads up to Chicken Point. Chicken Point lies straight ahead and to the left. 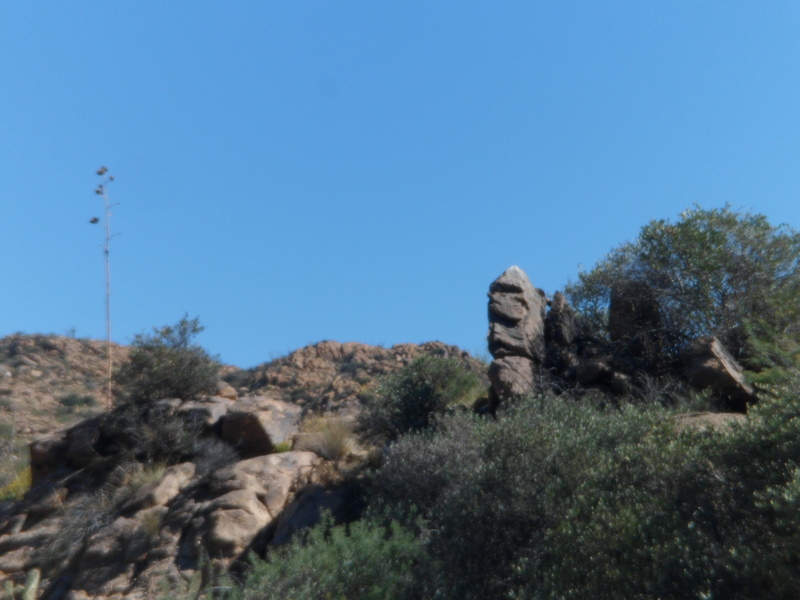 Below is a view of Submarine Rock, from Chicken Point. 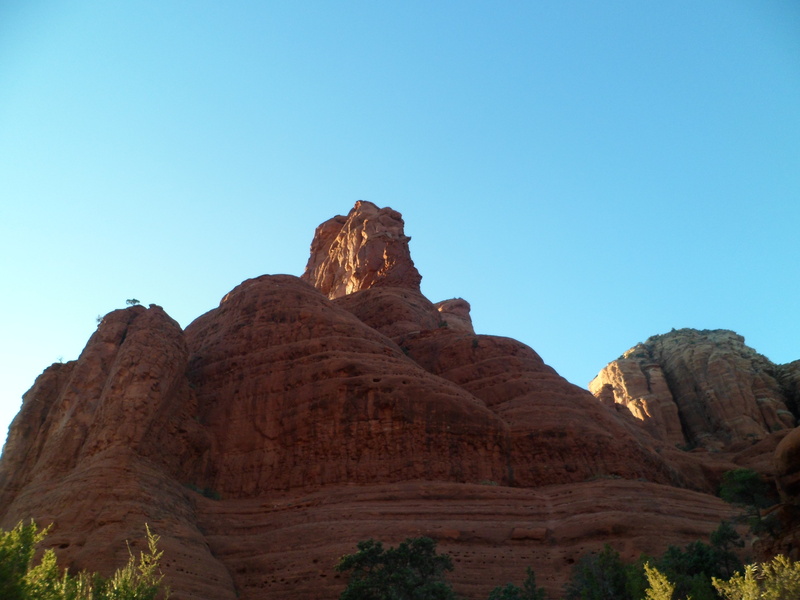 Before heading back, in the fading light, I caught a glimpse of Chicken Point’s “guardian”. The day was more than rewarding. I was left with so much to ponder, So I did what any overstimulated Prescottonian would do- I stopped at Leff-T’s Steakhouse, in Dewey, and had a steak fajita salad. In view of the heavy brunch, this helped me enjoy a carb-free supper, thus avoiding a Diabolical Diastolic, the following morning. I have things to occupy me, besides hiking. The Red Cross Disaster Assistance Team for Yavapai County has become one of them, and indeed, it will be my main focus next weekend, as we have a training seminar. 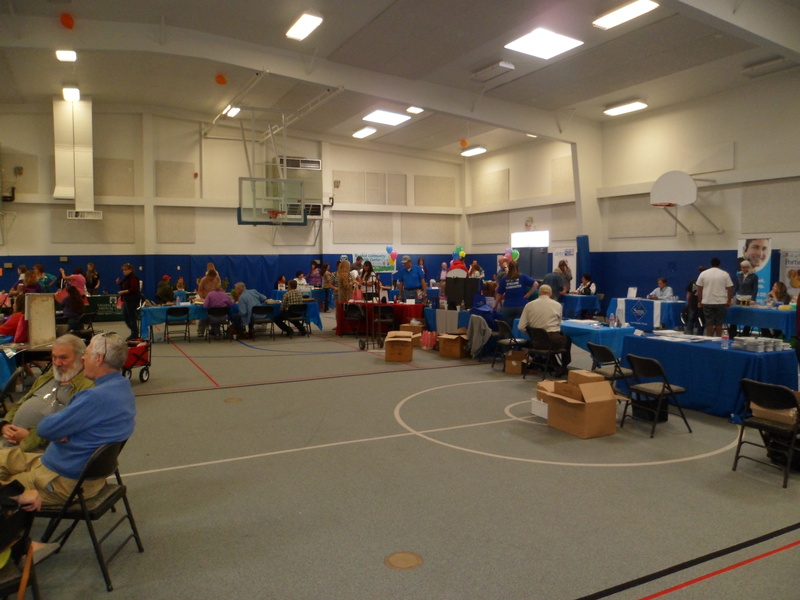 On Saturday, I went, as I had promised, to a Health & Wellness Fair in Bagdad, AZ, as part of a Red Cross presence. It turned out I was the ONLY presence, but I’m sure we’ll get to the bottom of that, soon. 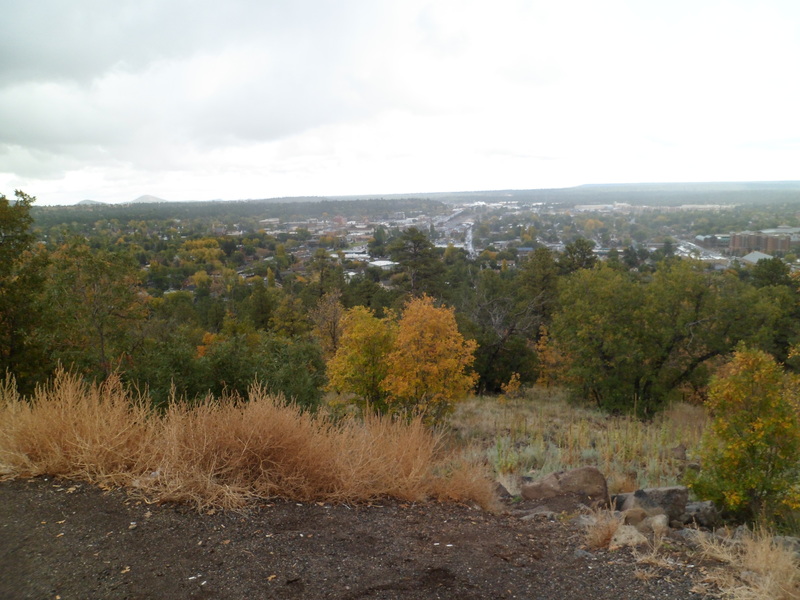 Bagdad is a small, spirited mining town, 50 miles west of Prescott. I bided my time by talking with a handful of people, both about the mission of the Red Cross and about the course of suffering among those in declining health. The somewhat flinty-eyed fair director seemed a bit suspicious of me, but offered me lunch anyway. Here are some scenes which await the traveler, both in and en route to Bagdad. 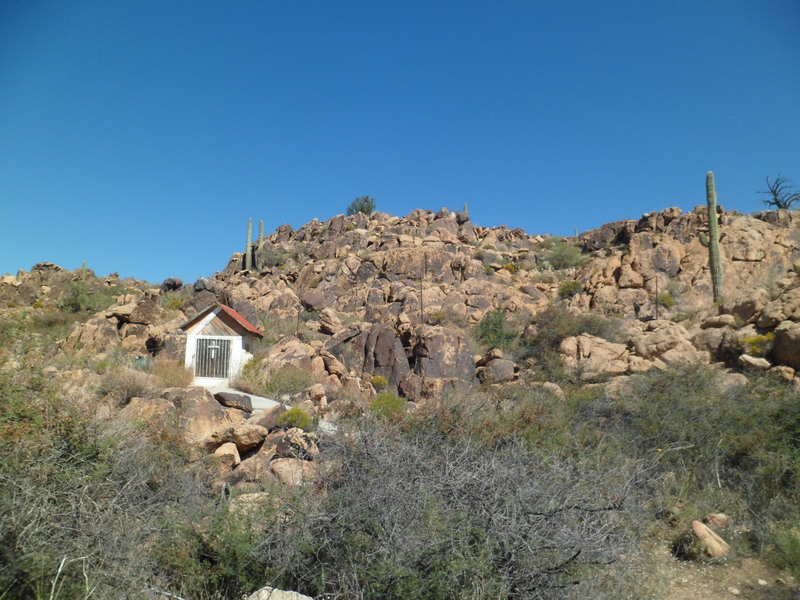 The first two scenes are just west of Kirkland, which lies halfway between Prescott and Bagdad. 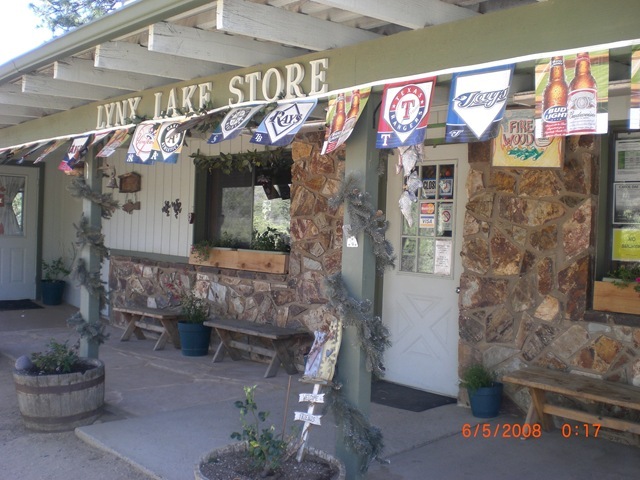 These are sort of a gateway into the northwest arm of the Sonoran Desert, for which Bagdad and Wickenburg are the commercial centers. Above are the Connell Mountains, north of Kirkland and Hillside. 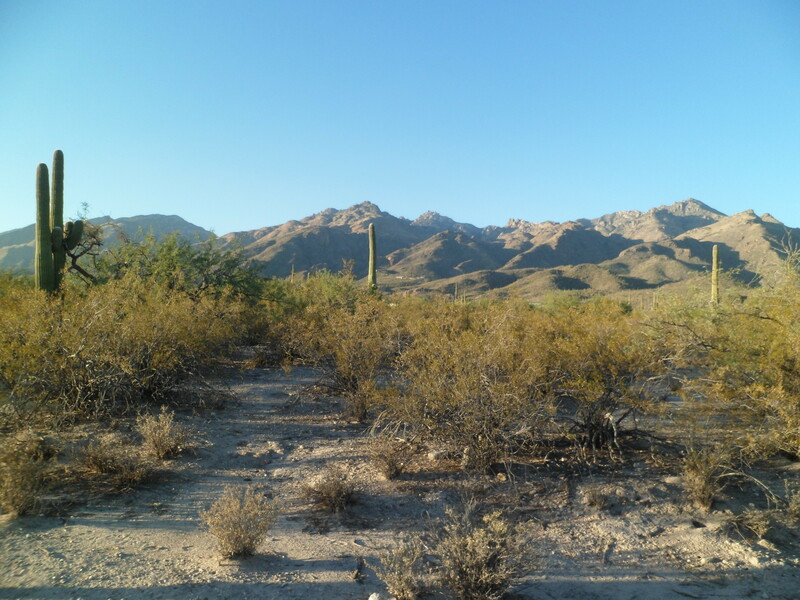 Below are a few scenes of the Sonoran Desert, just east of Bagdad. This shrine is on a ranch, in the small settlement of Hillside, fifteen miles east of Bagdad. 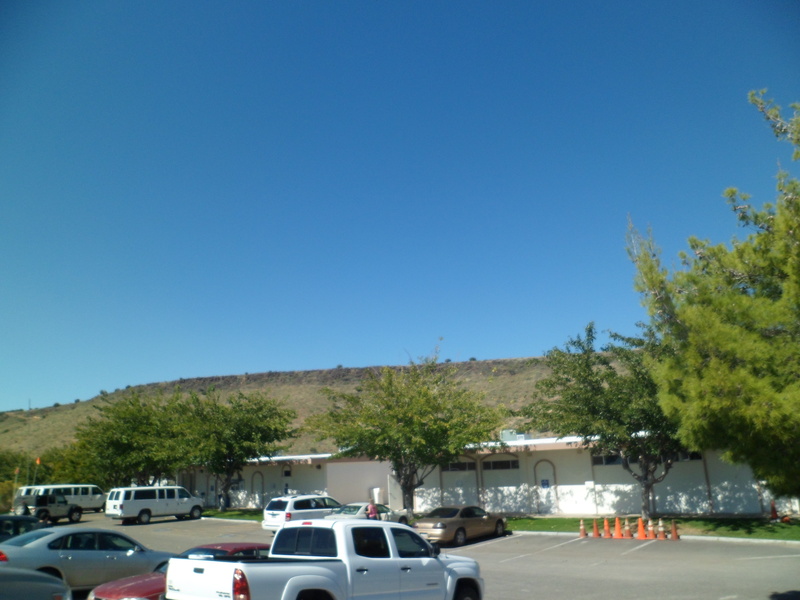 The Bagdad Community Center itself is at the foot of Sanders Mesa. On Saturday, it was a happening place. After the delicious lunch, I switched gears. 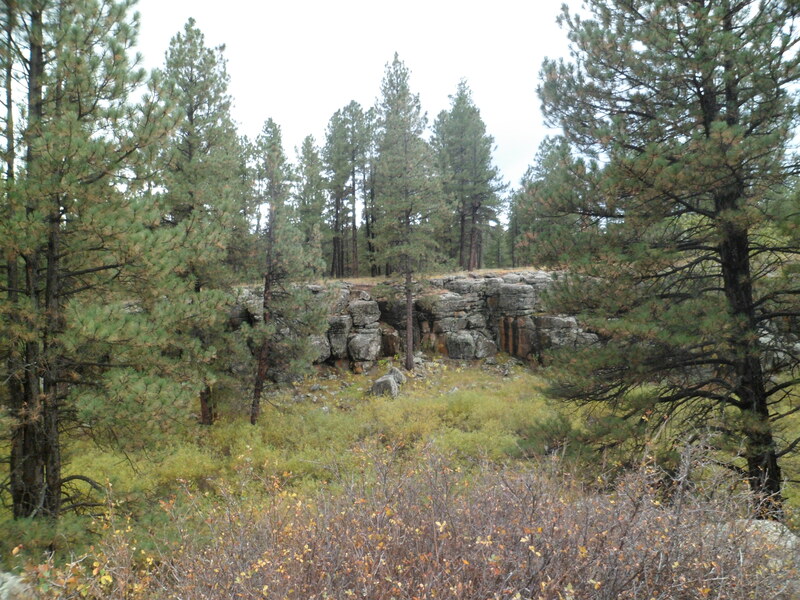 The evening brought me to Lynx Lake, southeast of Prescott. I took a leisurely walk along a segment of Homestead Trail, which skirts the west shore of the lake. 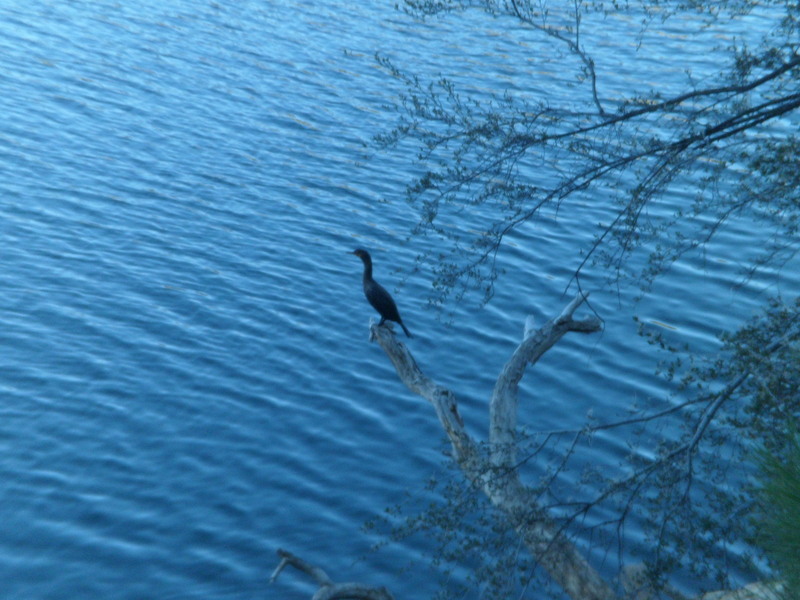 I saw a cormorant, ready to get its supper. Following the bird’s lead, I went in search of my Oktoberfest dinner. Lynx Lake Cafe is a full-service restaurant, with German fare. So, I sat at an outside table, near the entrance, and ordered a full German meal- with bratwurst as the centerpiece. Trio salad, sauerkraut, spaetzel, and German potato salad were there on the plate, as well. Apfel (apple) strudel and coffee topped it all off. The place was packed, inside and out. My Poppa would have been proud. My table-for-one (or two, if need be) was right where that bench is in the photo, to the right of the door. I was probably the only person there that evening who made do with water and coffee, but my Oktoberfest, my rules. 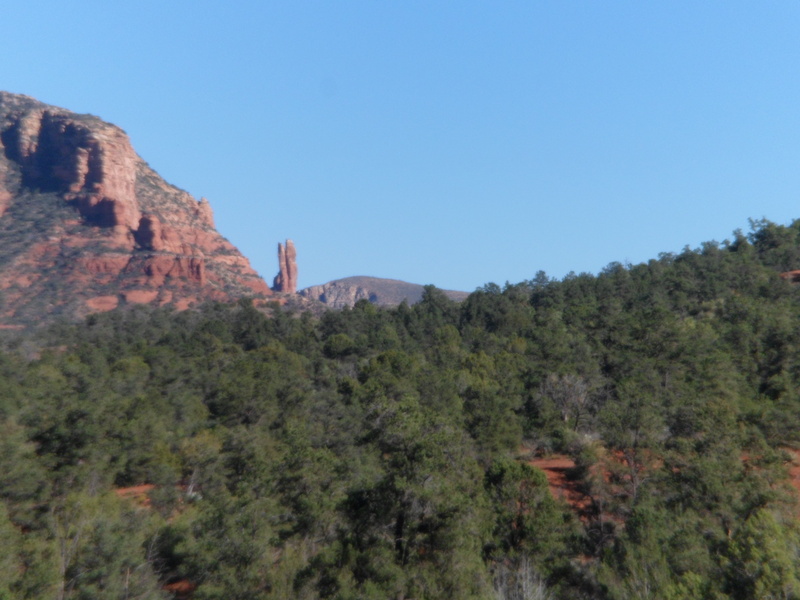 Next- Sunday brunch and the Red Rocks of Sedona. After I had finished visiting the Fort Valley area, the next order of business was to check out the grounds of Riordan Mansion State Park, which meant walking trough my alma mater, Northern Arizona University, The school has grown exponentially since my days there- which were, of course, thirty one years ago. 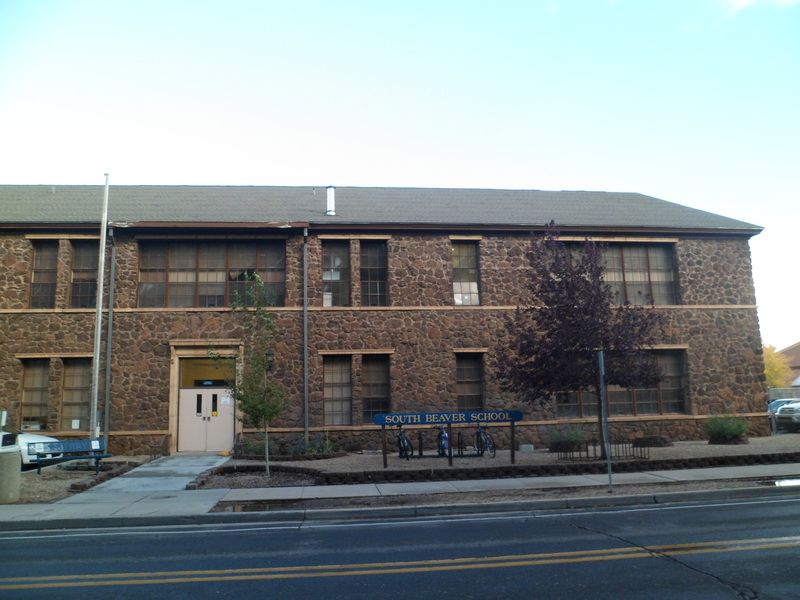 One place that hasn’t changed much, at least outwardly, is the laboratory school, South Beaver Elementary School. I scooted over to Riordan Mansion, before the gate closed. 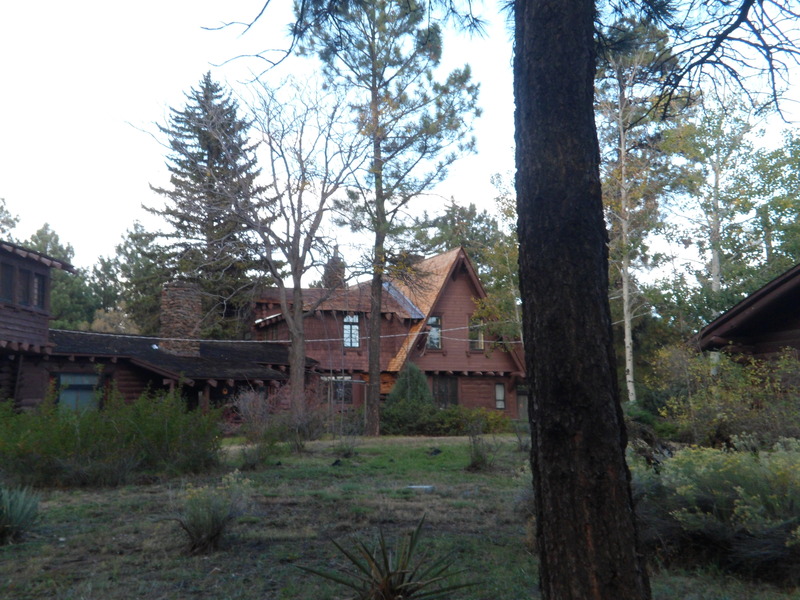 The edifice was built in 1904, for the brothers Timothy and Michael Riordan, who were timber barons in the Flagstaff area, in the early Twentieth Century. 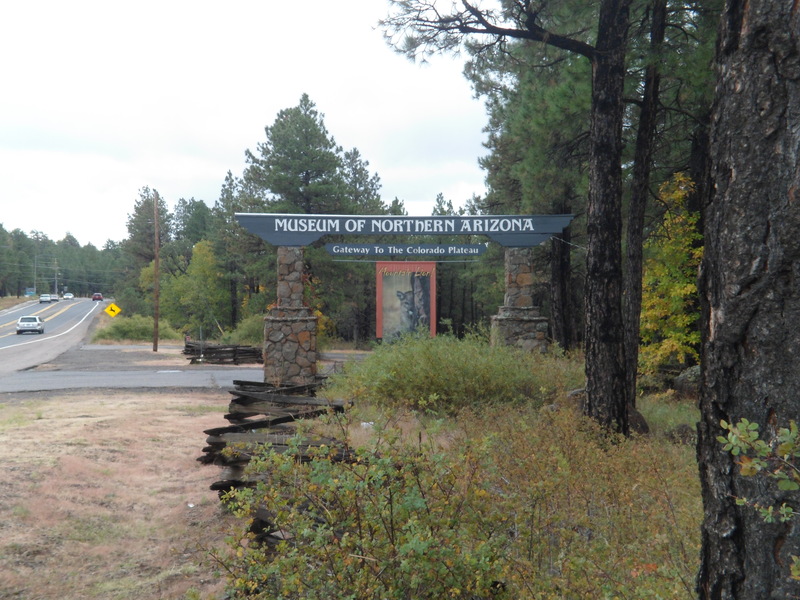 It is preserved as an acknowledgement of the timber industry’s historical importance to Arizona. It was getting towards evening, so I stopped by Macy’s and verified the time of the evening program, then enjoyed a marvelous artisan Margherita pizza, at Pizzicletta, one of those “best-kept secrets” that I would love to see get out of the bag. If you are in Flagstaff, go see the Schiffs, on Phoenix Avenue, across the street from the large train station parking lot. 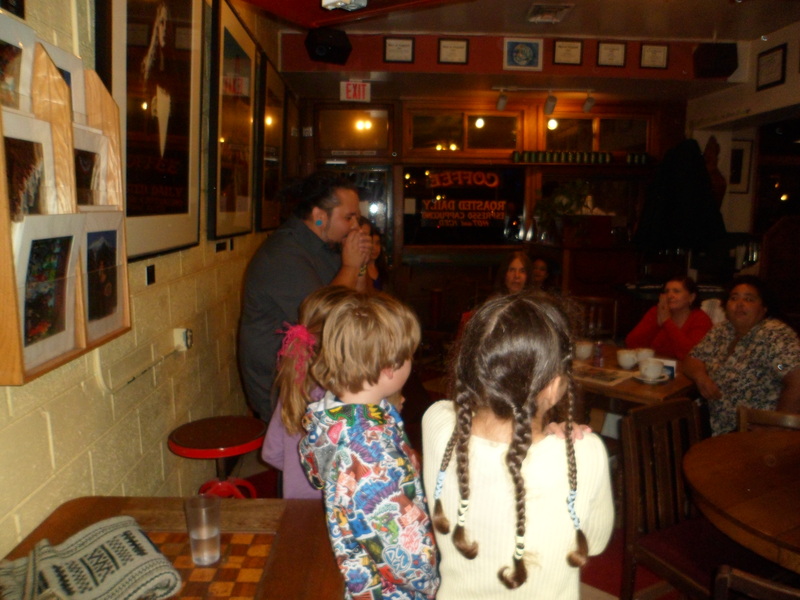 Amazing pizza and salads, with highly praised gelato for dessert, await the patron. You know you are in a college town, when the bill is presented on an i-pad! Then, it was time to go across Santa Fe Avenue, to the north side of downtown. 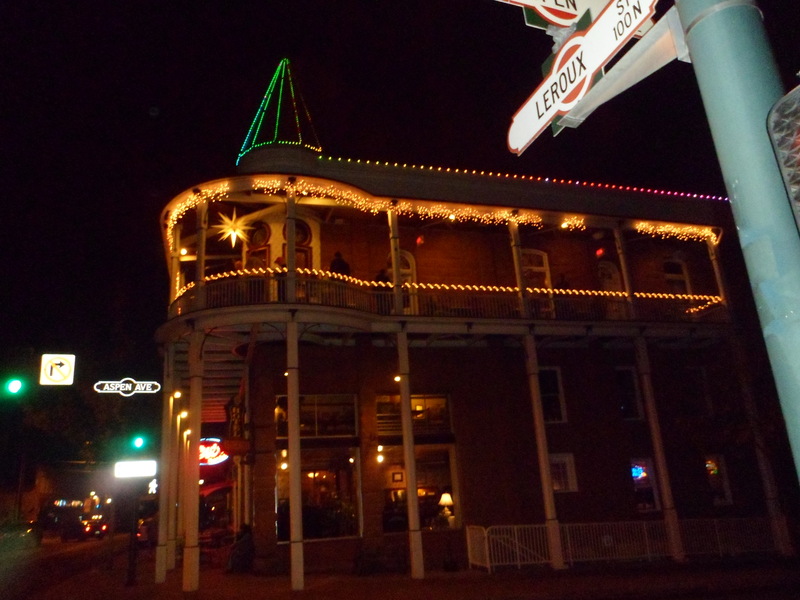 Weatherford Hotel, where Penny and I occasionally stayed in the mid-80’s, is decked out for the upcoming holidays. 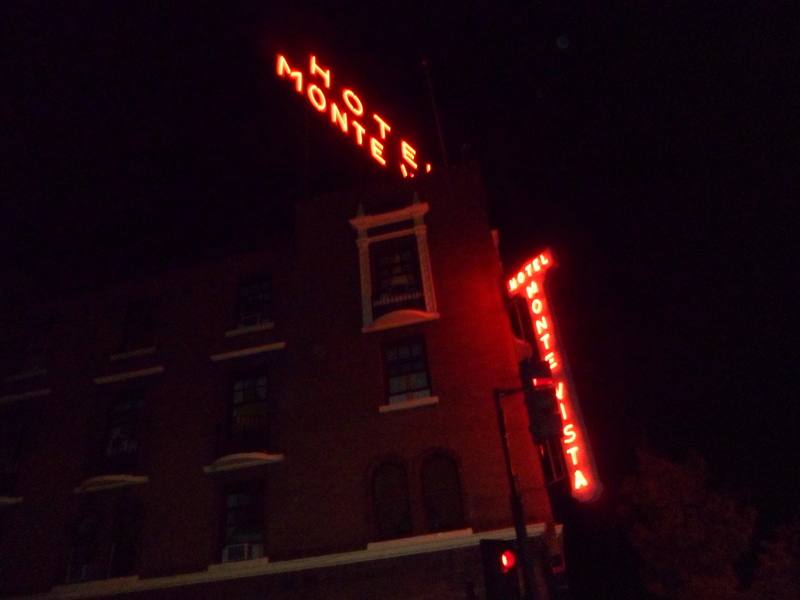 The Monte Vista, also a timber-era hotel, hasn’t quite caught the holiday bug, as yet. My main reason for coming here, though, was to see my friend, Emiliano, from Phoenix, do a hip-hop performance at Macy’s. This was a packed house and Emil was terrific. He does a fine job of incorporating the Baha’i message into a hip-hop framework. This energetic genre does not have to present a negative message. Emiliano’s hip-hop is nothing but positive. 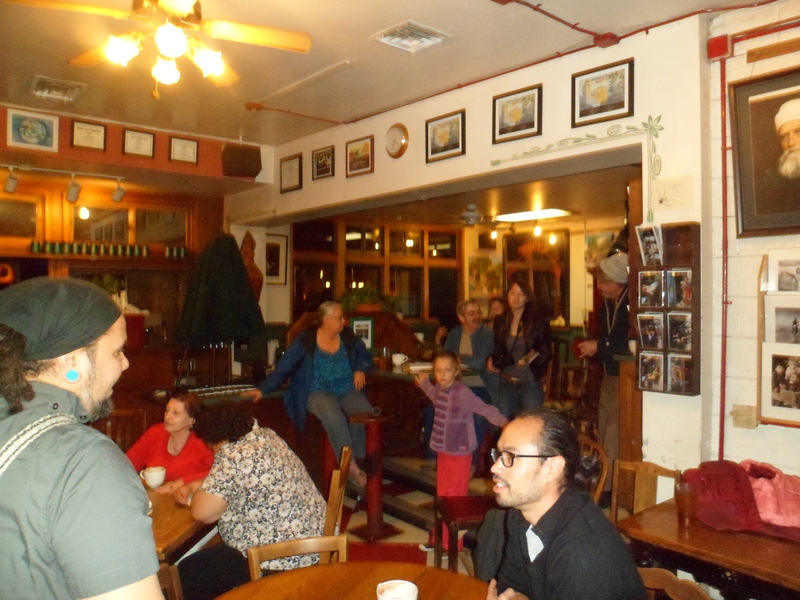 So, after your artisan pizza, coffee at Macy’s might hit the spot on a chilly Flagstaff evening. Breakfasts and lunches are equally good. Have a great week. I will continue this series with tales from Oktoberfest Saturday and Sunday. I lived a somewhat carefree life in Flagstaff, in 1980-81. I was in a mildly demanding graduate program, was in and out of a relationship with the woman who became my wife, and barely worked at a couple of jobs. Mostly, though, I was content to hang out in the historic downtown, reading a couple of papers, or studying, at Middle Earth Coffee House, (which became Macy’s European), going on hikes with the Full Speed Ahead trailblazers of NAU Hiking Club, enjoying the foliage of the Inner Basin and scarfing down all-you-can eat pizza at Caparelli’s (now long gone) or Alpine (still there). There are several places around the country which resemble Flag- Boulder, Bend, Santa Cruz, Missoula, Burlington. In truth, though, each place has its specialness. Though each of the above has the common threads of youth, university, a thriving arts scene, lots of coffee and chai, and at least one artisan pizza house, I could not substitute Bend for Flagstaff, or vice versa. Flag would struggle, were it not for the university and the energy it generates, but it would thrive, in the end, like a supersized Silverton, Taos or Butte. Native arts are prominent at the Museum of Northern Arizona, which in turn, with the North Country Pioneer Museum and Riordan Mansion, tells the area’s story in stellar detail. 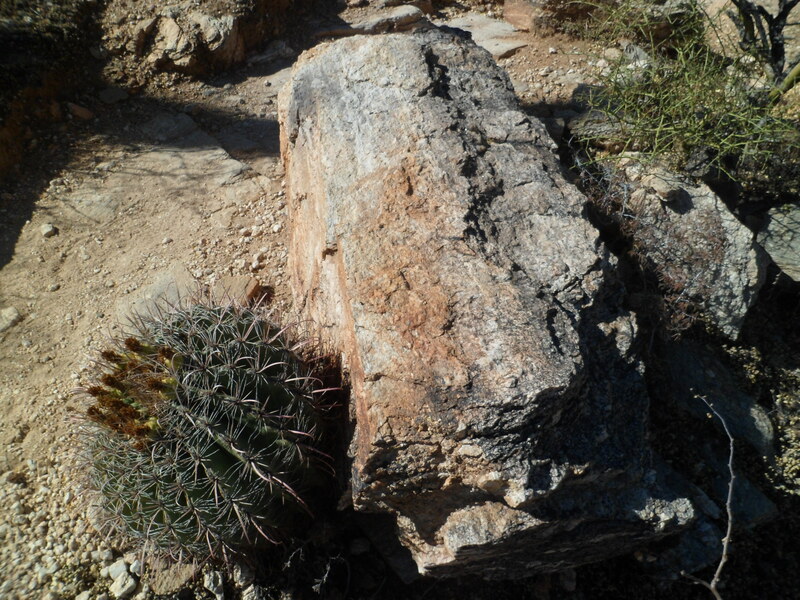 I enjoyed tracing the area’s geologic history, with its attendant changes in animal life. It was good to get a refresher in the development of indigenous cultures, from the proto-Puebloans, through the Sinagua and Ancestral Pueblo Peoples (formerly called Anasazi, or “ancient enemies”), to today’s Hopi, Zuni, Rio Grande Puebloans, Pai (Havasupai, Hualapai and Yavapai) and Athapascans (Navajo and Apache). Simply put, as the wanderers found a place in which they wanted to put down roots, their baskets got more firmly woven, their designs became more complex and their dwellings sturdier. Thus, we have Basketmakers I, II, and III , followed by the Sinagua, then by Pueblos I, II, III and IV. This last features the Hopis, Zunis and Rio Grande peoples. 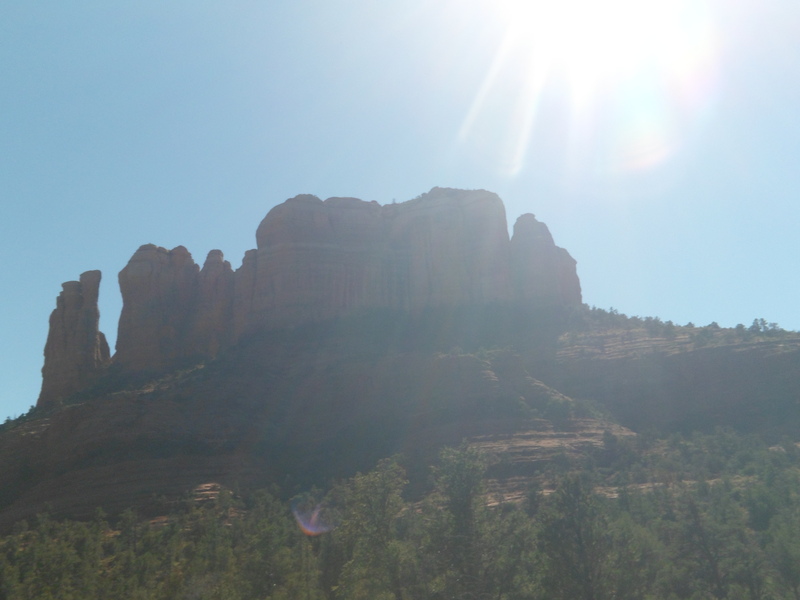 I can think of nowhere I have felt more at home, than among the Hopi and Dine (Navajo). Of course, I will always be Bahaana/Bilagaana (White one), and the trust that was upset when we left for the city, in 1999, would not easily be re-established; but the sheer honesty, connectedness and essential decency of my Native friends cannot be shed from my heart’s memory. I felt it when I returned to Burntwater in July and again when I was in Glenwood Springs and Towaoc, a couple of weeks ago. I digress, somewhat. 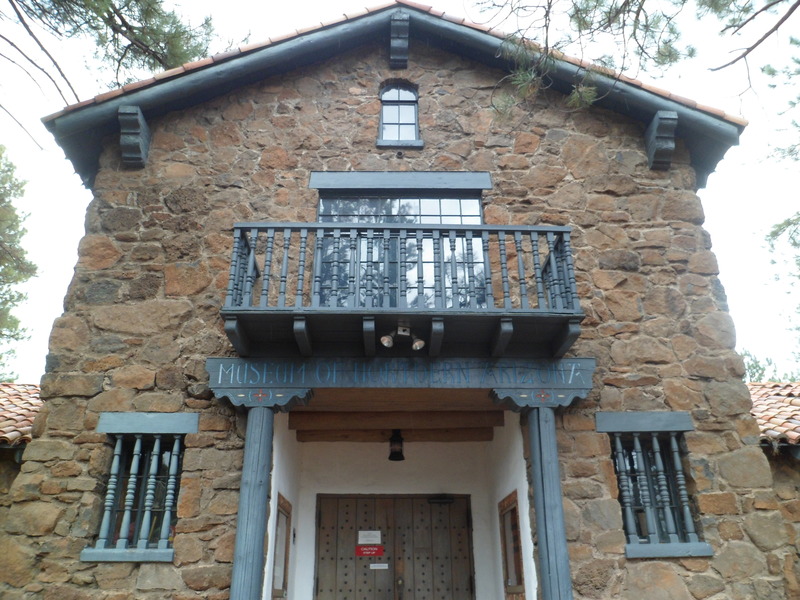 The Museum also featured, until today, the works of Mary-Russell Ferrell Colton, a painter who, with her zoologist husband, Harold, founded the Museum of Northern Arizona in 1928. The blend of art and zoology is reflected in the museum’s current special exhibits: Mary-Russell’s extensive gallery is accented by the wealth of Native American art and counterpointed by an exhibit on the Mountain Lion- its habitat, life challenges, behaviour and prognosis. Capping an hour or two on the inside of the facility is a walk along the Rio de Flag Nature Path. This rivulet flows from the San Francisco Peaks, through Fort Valley (where the Museum is found), and downtown Flagstaff, then heads east through Picture Canyon and on to the Little Colorado River. When I lived there, the Rio was often compared to the Los Angeles River, as a budding urban waste dump. Citizens got together and have largely reversed the situation, so the Rio is a pleasant spot by which to sit and sip a cup. (I’m told the situation is improving for the Los Angeles River, as well.) The Rio was barely flowing here, and you can’t see it, for the brush. It did snow and rain here yesterday, so help is on the way. The second museum in the Fort Valley area is the Pioneer Museum, a northern extension of Tucson’s Arizona Historical Society. This museum is photo friendly, so I was able to capture some of its inside features. Many will remind my faithful readers of other pioneer venues, like Fort Worth’s Log Cabin Village, Old Town Burlington, CO or Lincoln’s New Salem, near Springfield, IL. 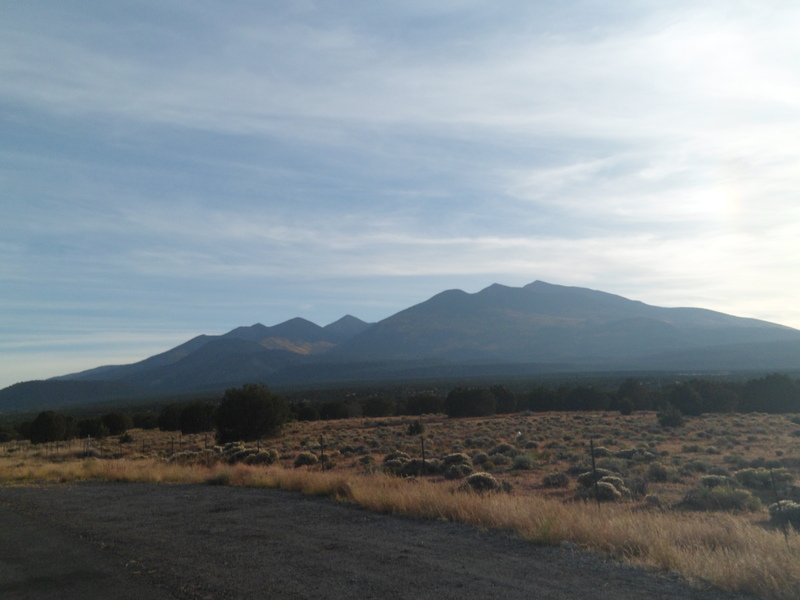 Flagstaff’s early Caucasian settlers were mostly concerned with logging and the railroad, rather than displacing Native peoples, though some conflict has occurred over water rights and over the use of the San Francisco Peaks, sacred to at least four nations. Some homes were comfortably-sized; others, only someone like me could feel okay with them. 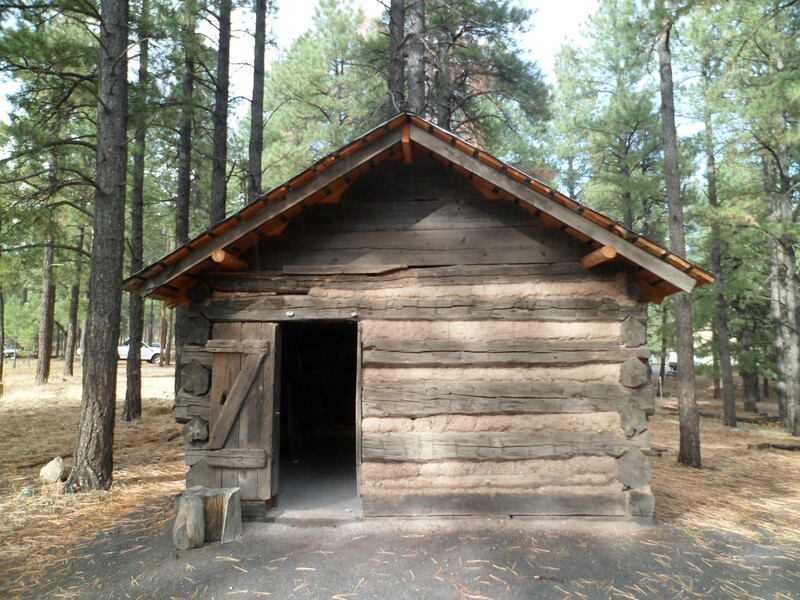 This is the cabin of the Doney family, who settled in an area east of Flagstaff which now bears their name: Doney Park. 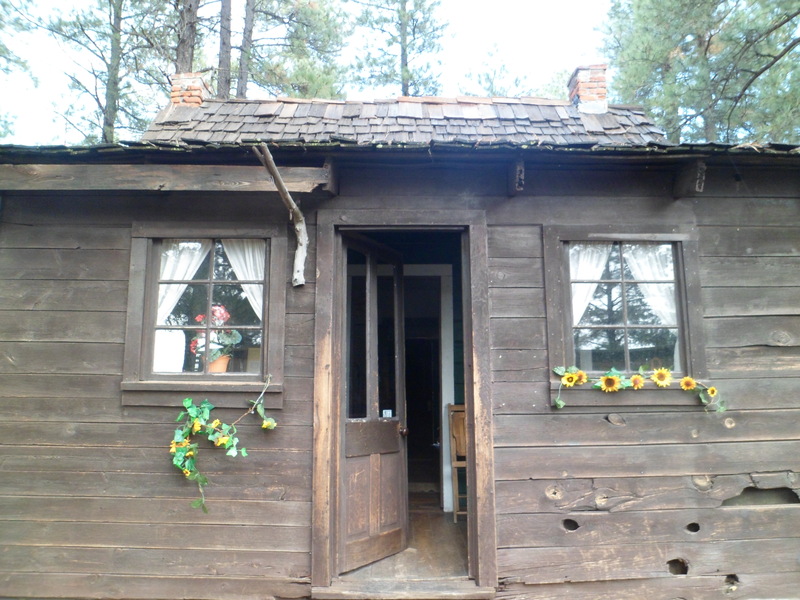 The Lockett Cabin was platted in an area of the Inner Basin of the San Francisco Peaks that is now called Lockett Meadow. The main exhibits, arranged by decade from 1880- 1970, are on the second floor of the Main Building of the museum. 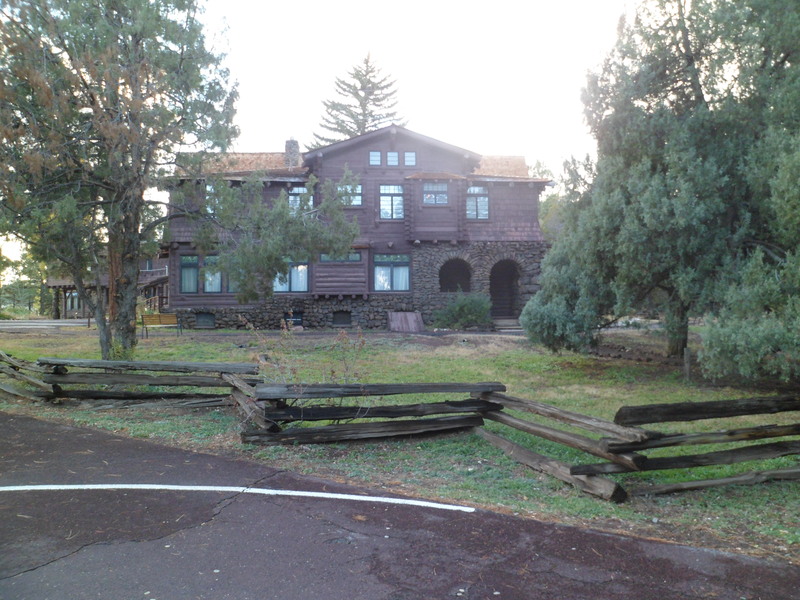 It was originally Coconino County Hospital. 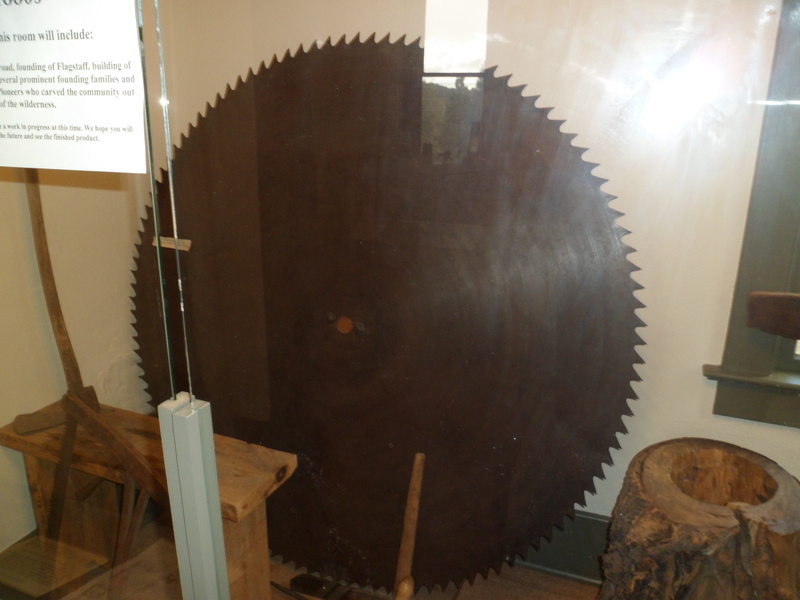 Thus, we have logger’s tools, like this saw blade. 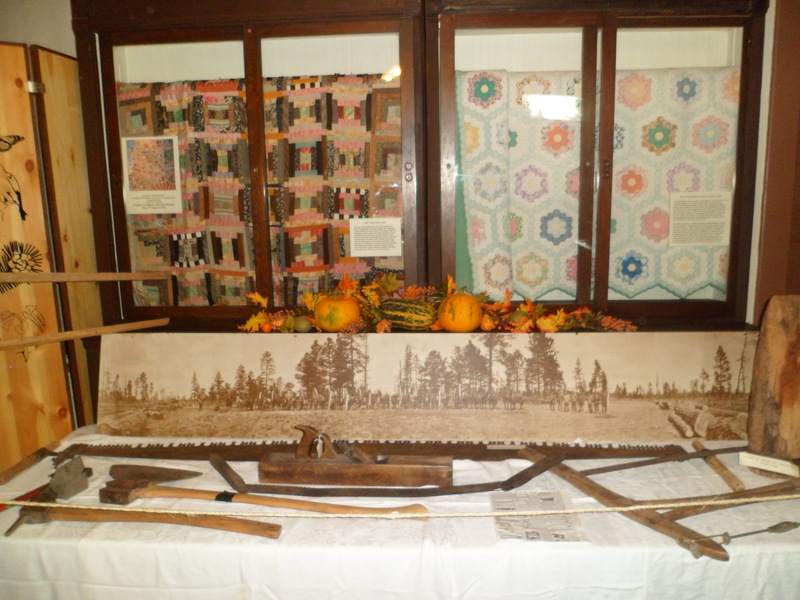 Then, there are quilts and other logger’s tools, from the 1890’s. The nurses lived in the Hospital, in the early 20th Century. 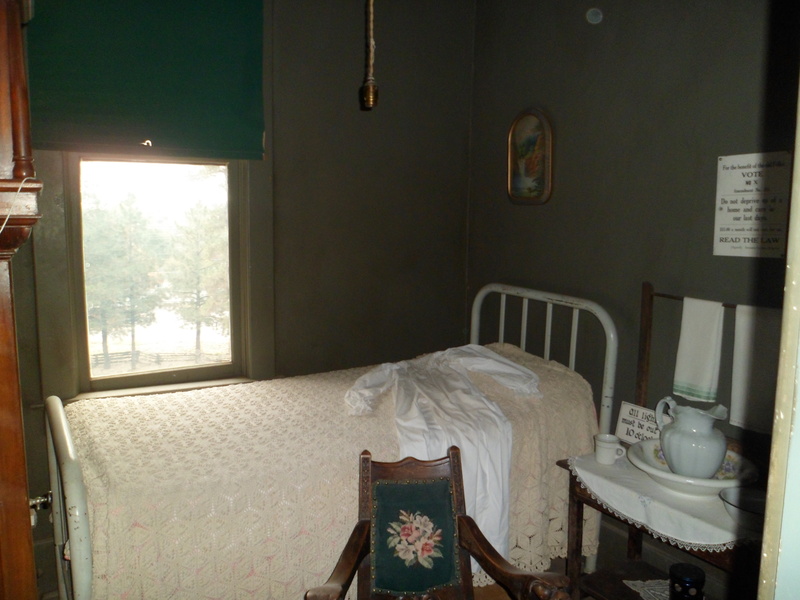 Here is a nurse’s bedroom. 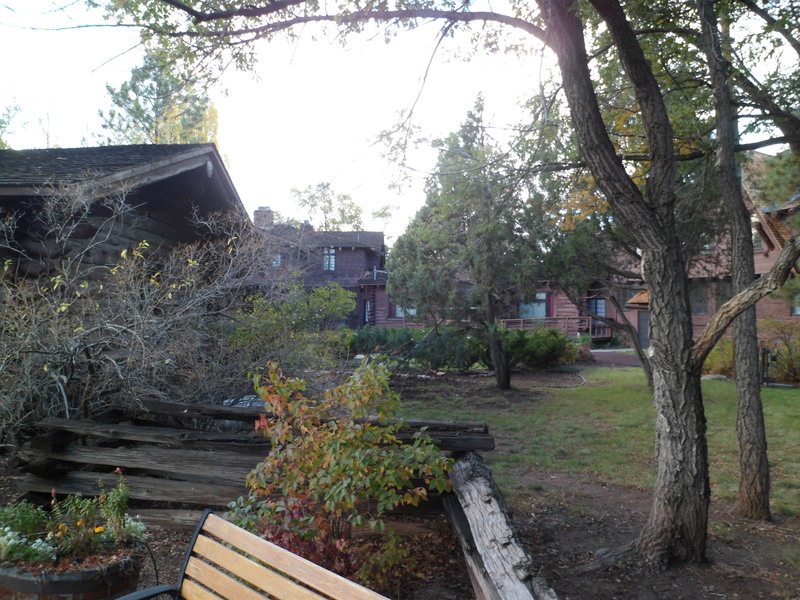 In the next post, we move on to the campus of Northern Arizona University, the adjacent grounds of Riordan Mansion and an Oktoberfest Friday night in downtown Flagstaff. 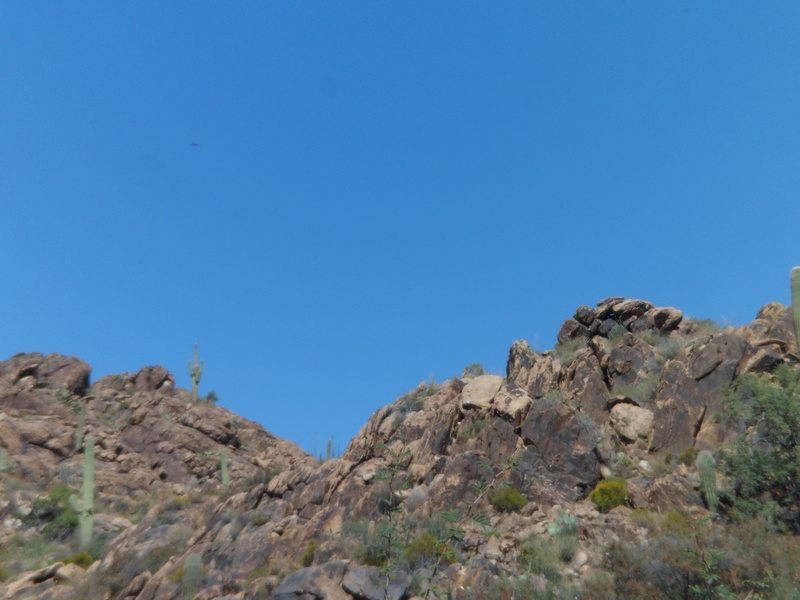 I spent part of this afternoon walking a segment of the Constellation Trail, in Granite Dells, that I had not hiked before. 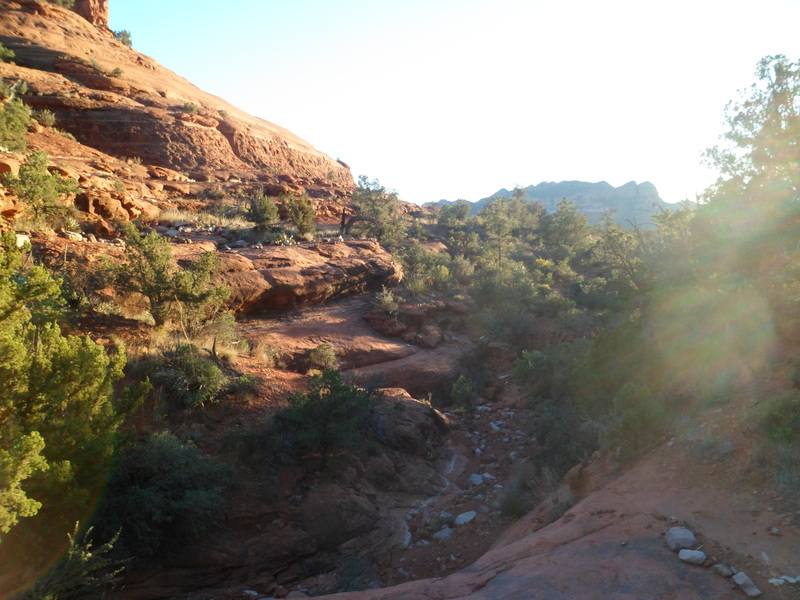 (I went sans camera, so rest assured I will be on that path again soon.) This was a time meant for attention to detail and reflection. It meant frequent sitting and thinking. 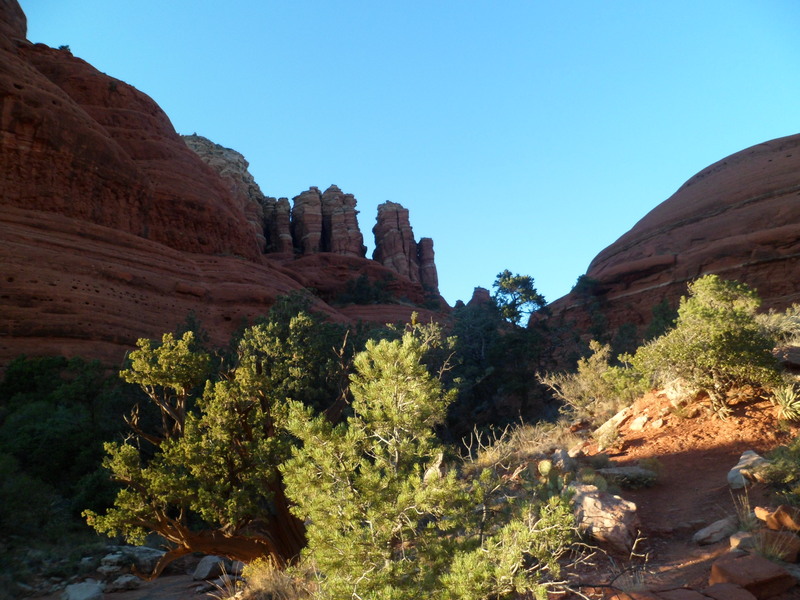 Among the things that came to mind were my friendships, the structure of this planet-both material and social, and the resemblance of rock formations to characters, both real and imagined. 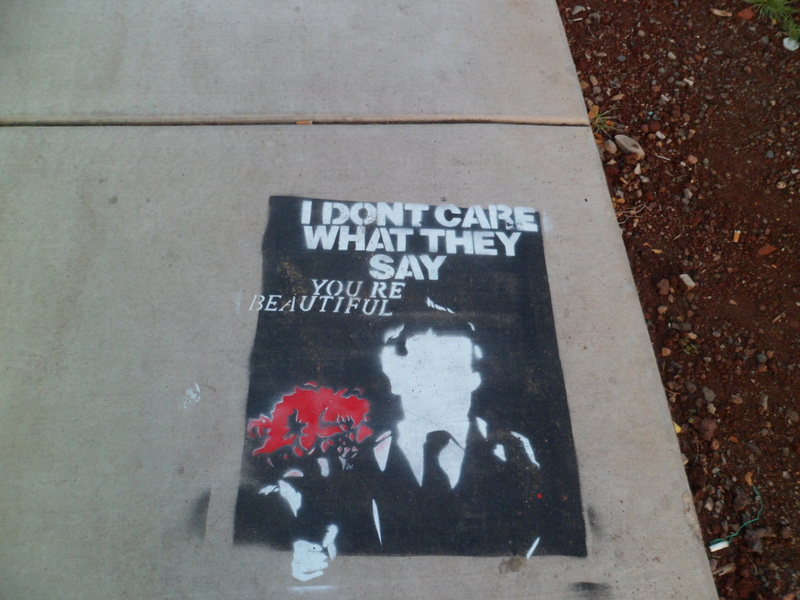 I thought of friends here, in Tucson and in the Northwest. I thought of the solidity and fluidity of rock, water and social institutions like the family. I saw rocks that resembled Jabba the Hut, a kissing pair of dogs, a fish whispering to a whale and Buckingham Palace. If I had no other reason to visit nature, this would be sufficient. Now, let me get back to nuts and bolts. Earlier today, I made arrangements to fly to Boston on Nov. 17 and return on Nov. 29. This will be my first New England Thanksgiving in almost 32 years. Having made that plan, let me set in motion the rest of 2012 and the year ahead. November 17-29 : Boston area, with 2 day visit to New Jersey (24th and 25th). December 24-29 : San Diego, Crystal Cove, Catalina, Los Angeles County Museum of Art and Palm Springs tram. March 9-17: New Mexico, Oklahoma and Texas. July 5-9: Aram’s birthday; so, wherever he is. July 14- September 15: Start- Devil’s Tower, WY. Key stops: Harney Peak, Mt. Rushmore and Pine Ridge, SD; Pipestone and the Twin Cities, MN; Ice Age Trail, Stevens Point and Milwaukee, WS; Chicago; Indiana Dunes; Fruitport, Sleeping Bear Dunes and Pictured Rocks, MI; Manitoulin, Toronto and Ottawa, ON; Montreal, Quebec and Gaspesie, QB; Northern New Brunswick, Saint John and Fundy National Park, NB; Pictou region and Cape Breton, NS; Newfoundland; Prince Edward Island; Acadia National Park, Boothbay and Eliot, ME; the Boston area ( Family stuff and my Mom’s fifteenth consecutive 40th birthday! ); New York City; northern New Jersey ( More family stuff); Cape May, NJ; Philadelphia and Gettysburg, PA; Louisville area; western Illinois; Des Moines; Doorley Zoo, Omaha; then back home, through Kansas, the OP and New Mexico. This is, as we all know, subject to expansion (unlikely) or contraction(always possible). Stops in between, here and there, are sometimes advisable, for the good of the order. That set me to thinking- I have been a restless soul, for as long as I can remember. My first punishment, when I was three, was for walking up to Grama Kusch’s house, which meant I had to cross at least one street alone. I don’t remember whose hairbrush hit my backside first- Mom’s or Grama’s. When we moved to Adams Avenue, and I was five, I preferred walking to the horse corrals, hiking the hills near home, checking out the abandoned railbed or going over the hill to my aunt’s house to playing ball, riding a bike or watching television. My favourite board games were route-oriented: “Risk”, “Monopoly” and checkers. I loved the TV show, “Route 66”, as much to see the different places the guys went each week, as to see which hot girl Buzz would meet. My other favourites on the tube were more sedentary, but still cerebral (Perry Mason, Checkmate, Soupy Sales :})- yet that’s another matter. My first job was delivering newspapers. I chose active Army duty over National Guard, because my feet were itching to get to a different place, or two. That eventually led me to Fort Myer, Va, where I walked all over the DC metro area- one time going from the south entrance of Rock Creek Park all the way to Germantown, MD. After that, there were ten months in Viet Nam, where wandering was not an option- but I did get to see Sydney, on R &R.
In college, I was a director of campus tours and travel, at the community college and backpacked around North America in the summer of 1972. My part-time job that Fall, at UPS, entailed sorting parcels going to various spots. I wanted, at one point, to deliver mail for a living, but a postal hiring freeze that year squashed that idea. When I taught in a classroom, I was okay with being focused on the tasks at hand, since they involved children and growth. 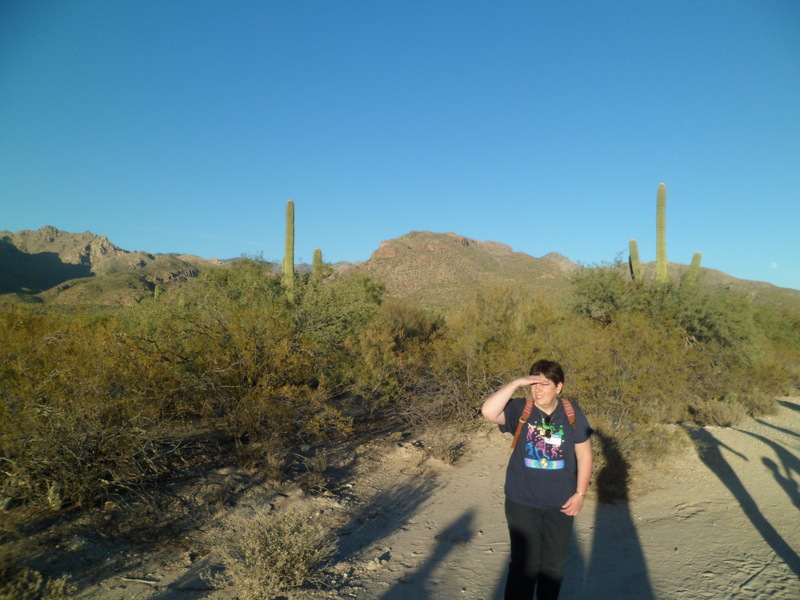 On weekends, though, I covered insane distances- in Maine and Atlantic Canada, and later on- all over Arizona and Sonora. Penny settled me down, somewhat, though she shared my wanderlust, to a point. Aram anchored us further- we did take trips here and there, mostly in summer, but a growing child needs the security of home and neighbourhood. A teen needs such things all the more. So, I practiced stillness, learned a modicum of stationary behaviour and focused on the growth of my spirit. Penny has gone to the spirit realm, and she was one of a kind. There are plenty of people about whom I care, but I have only one soul mate, and we see each other in dreams and in visions. Aram is grown, and is pursuing his own dreams. I am, and will be, there when he needs me. Mostly, though, I’m on my own- and my soul goes follows its given course. Next: A revised view of the path ahead. More important than lists of places and acknowledgement of people, in the long run, is- “What did you get out of this trip?” My wife would have asked that; in fact, she has, in the manner of spiritual thought. There are three things I learned, between Sept. 6- Oct. 3. I can navigate, without always relying on GPS. There is always someone who will help me get where I need to be. No matter how “end-of-the-line” a place seems, its people invariably are connected to someplace even further. There are some ways in which I have changed, as a result of this journey. I felt it easier to cry, when my spirit was deeply affected by memories of Penny or by the intense spirituality of a moment. I was more flexible inside, when a message came to me to change my schedule or my itinerary. I did not, once, grudgingly go along with changing circumstances, but rather embraced them. Imagery, both waking and dreaming, was much clearer. I could see into the future, as well as observe images more current. Now, I am very pleased and honoured to take each item on the agenda handed me by the Universe, each day, and move forward to where this life journey is taking me, or where it’s having me stay. I am now happily back in my own house-sitting labour of love. I won’t have any photos to show on this one- redundancy is not my thing. Nonetheless, I look back and think fondly of the places I saw: Hoover Dam;Lake Mead; The Alien Store;Lake Merritt; San Francisco; Jack London Square; Tomales Bay; Muir Woods; the Coastal Redwoods; the Lost Coast; Point Coquille; Astoria Column; the Columbia at St. Helens and at The Dalles; Portland; Ocean Beach, WA; Lake Quinault; Kalaloch; Forks; Lake Ozette; Neah Bay and Cape Flattery; Port Angeles; Sequim and Jamestown; Seattle; Wenatchee and Ohme Gardens (even with the fires); Yakama Nation; Goldendale and Maryhill; Deschutes River, at Maupin, OR; Crooked River Gorge, at Culver, OR; Smith Rock; Downtown Bend; Rogue River Gorge, at Union Creek; Ashland, OR; Mount Shasta; McCloud, CA; Lake Britton; Lassen Volcanic National Park; Feather River and Spanish Creek Gorges; Reno; Winnemucca; Elko and the Ruby Mountains; Bonneville Salt Flat; Salt Lake City; Price Canyon; Fruita, CO; Glenwood Springs; Northglenn; Colorado Springs; Wolf Creek Pass; Mesa Verde; Ute Mountain Chimney Rock; Four Corners Butte; and my beloved Peaks, welcoming me home. More important, though, are the people: The clerk at the Alien Store; the clerk and her little daughter, at Atomic Inn, Beatty; Tom, Michele and their kids, in Reno, my hosts on two occasions; the California Baha’i Regional Council, for such a masterful Commemorative Weekend; Marta, Christian and the team at San Francisco Baha’i Center, making the Bay Area feel like home; Dona and Ian, at Abalone Inn, Point Reyes; the put-upon staff at Nick’s Cove (because of the bees); the ranger at Standish-Hickey Recreation Area; the staff at Harbor Inn, Brookings; the waitresses at Matty’s (even if you didn’t like my politics); the waitresses and owner at Bonnie’s Grill, Port Orford; the clerk at Shooting Star Motel, Bandon; the waitress at High Tide Cafe, Charleston, OR; the staff at Sea Lion Caves; the owner of Budget Lodge, Portland; Khai and Jim, and the waitstaffs at Tina’s Corner and at Pastini’s, all of whom made my Portland visit special; the guys at Hawaiian Islands Cafe, St. Helens, OR; the gentle old man and his boss at Thunderbird Motel, Aberdeen, WA; the staff at Lake Quinault Cafe; the waitress at Kalaloch Lodge; the staff at In Place and the kids who found my camera, in Forks, WA; the waitress at Warmhouse, Neah Bay; the staff at Feiro Marine Life Center, Port Angeles, WA; Ted Lew and his mother, in Seattle, for being such gracious hosts for two days; the various vendors of Pike Place, especially the waitress at Athenian Seafood; Mr. Vinny, of Vital T-Leaf, for his kind seminar on tea preparation; the people of Seattle Chinatown; Robert and Carla Wilson, Mitra McCauley and her husband, Dan, and Caroline and Robert Kirkpatrick, of East Wenatchee, for bringing me to your community and letting me be a part of summoning the power of the Holy Spirit, in Wenatchee’s time of need; the staff at Mai Lee Thai, East Wenatchee; the staff at Ohme Gardens; the waitress at The Igloo, Wenatchee; Jackie and her husband, at Ponderosa Motel, Goldendale; the waitress at Top Hat, Goldendale; the couple at Bake My Day, Goldendale; the street coffee vendor in The Dalles; the staff at KOA, Culver, OR; the entire crew at Sidelines Grill, Bend; the reptile curator at Smith Rock; the staff at Union Creek Resort and Beckie’s Restaurant; Jody Bourne Weah, my host in Ashland, OR; the waitress at Greenleaf Restaurant, Ashland; the crew at Fireside Village, Hat Creek, CA; the NPS staff and volunteers at Lassen Volcanic National Park; the waitress at Joe Bob’s, Reno; Deborah and the crew at Flying Pig Barbecue, Winnemucca; the clerk at Economy Inn, Elko; the couple at McAdoo’s, Elko; Carol Curtis, my host in Salt Lake City; the Baha’is of Utah and Robert Stockman, for a marvelous Commemorative in Salt Lake City; the Spiritual Assembly of the Baha’is of Colorado Springs, for hosting such an intimate and unforgettable Commemorative Weekend at Glenwood Springs; the proprietors of Rodeway Inn, Glenwood Springs, the staff of Vic’s Route 6 Grill, and the waitress at Zheng Asian Bistro, for making my last weekend on the road so restful and nutritious; my dear sister and brother in Northglenn, Mindy and David Kosak, for hosting me once more; the faculty and students at the U.S. Air Force Academy, for putting our nation first; the volunteers at Garden of the Gods, for sharing such an exquisite place with humanity; the waitress at La Baguette, for reviving me with splendid pastry and tea; the waitress at Del’s Diner, Fort Garland; the gents at Wolf Creek Lodge; Jackie and the crew at Junction Restaurant, Pagosa Springs and, by no means least, the team at Macy’s European Coffee House- always ready with a hearty bowl of soup, vegetarian sandwich and epicurean beverage. Thanks also to those of you who have borne with me for this past month. It has made me closer to my Lord, to Abdu’l-Baha, to my many friends and to my guardian angel and soul mate. Yesterday, October 3 brought me along one of southwest Colorado’s most magnificent sights: Wolf Creek Pass, with its spectacular blends of foliage and rock. 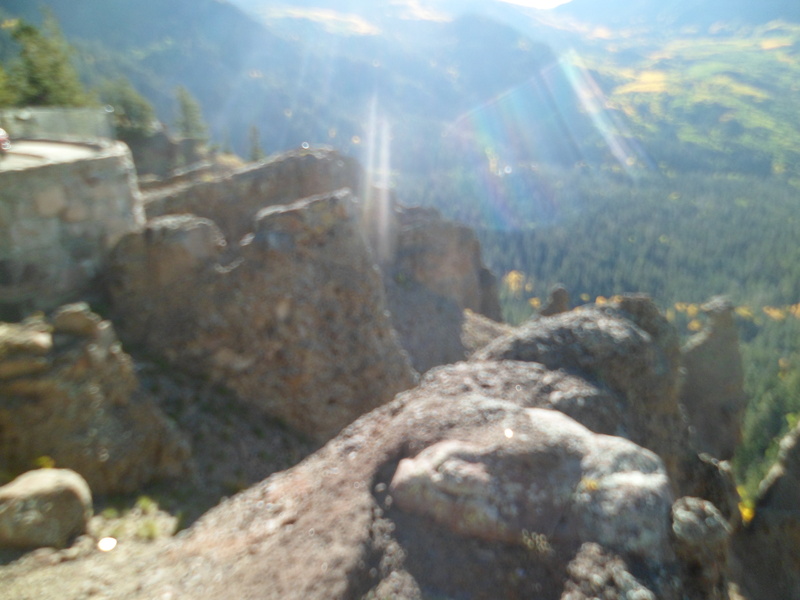 This Castle Rock is at Wolf Creek Pass’s east summit. East meets south, at this face of WCP. 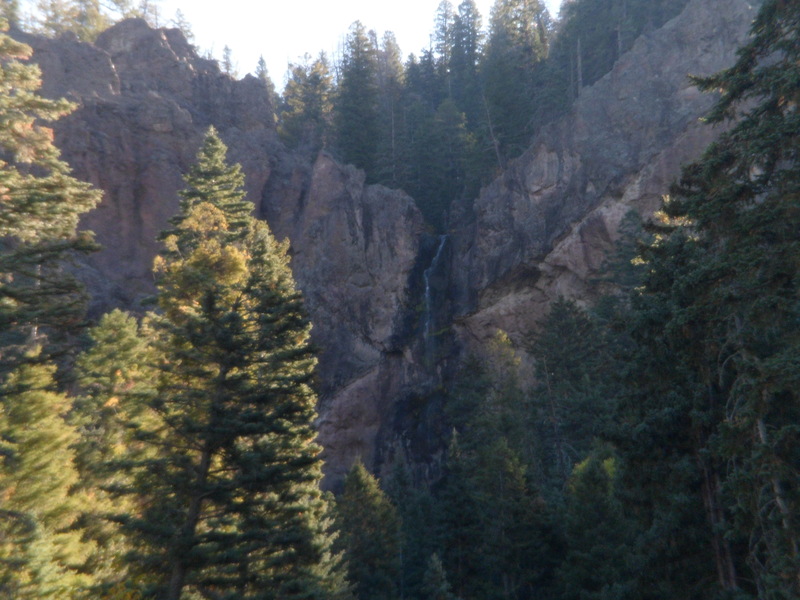 Below, one can catch a glimpse of Treasure Falls, southwest of Wolf Creek Pass. I finally found a breakfast spot, at 9:50. Junction Restaurant has tasty breakfast skillets, and Jackie will discuss anything from styles of eggs to the sorry state of the Everglades, in her native South Florida. 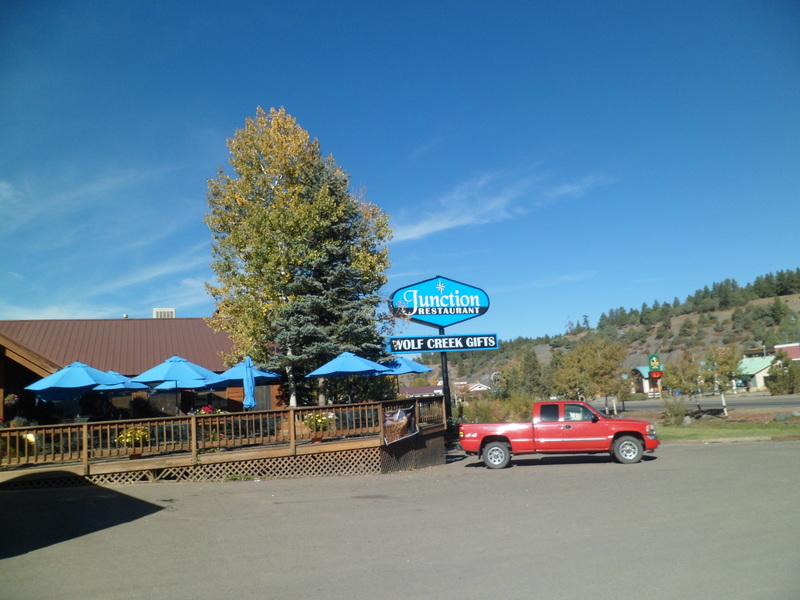 Junction is on the east end of Pagosa Springs. I had hoped to catch some views of Wetherill Mesa,at Mesa Verde National Park, but the gate attendant said Wetherill was closed on August 31. I did catch this view of fading foliage, near Mesa Verde’s entrance, before heading on to the Four Corners. 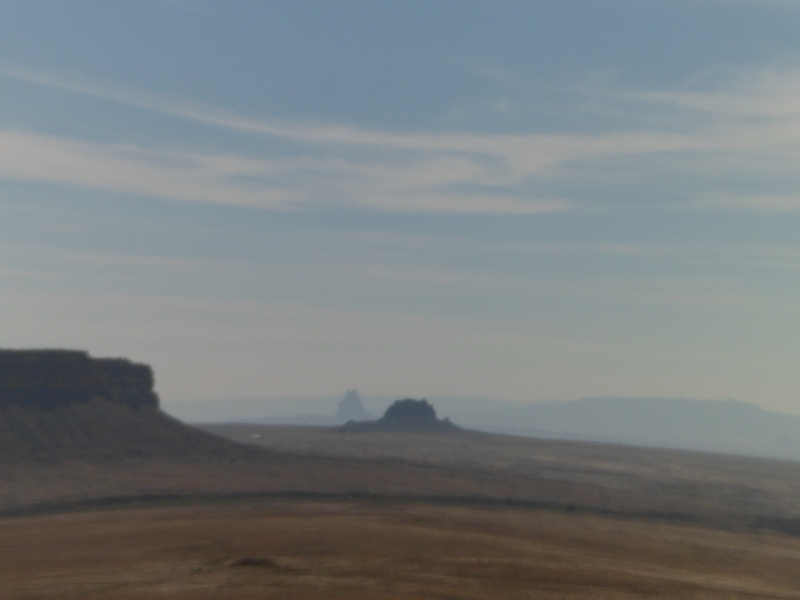 One of the truly special things about some of the southwest’s natural features is the way they seem to line up. 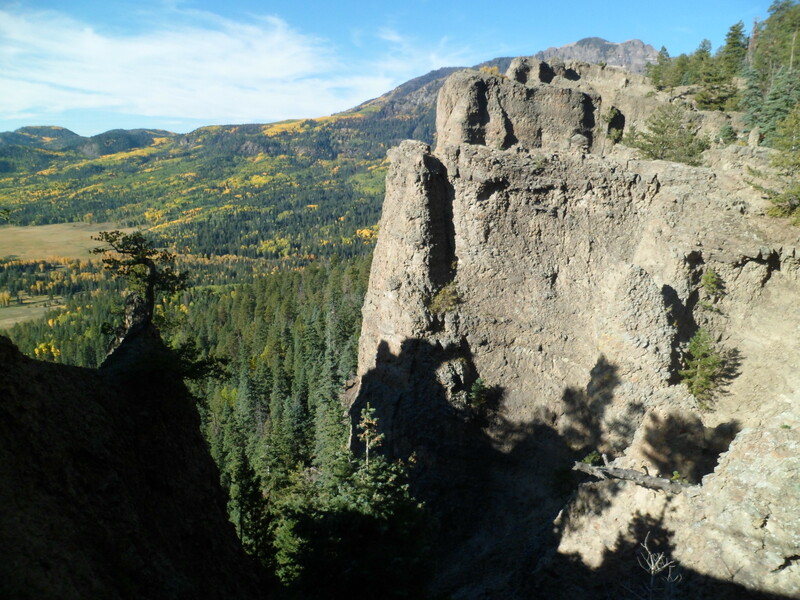 There are two Chimney Rocks in Colorado. The one near Ignacio and Bayfield, east of Durango, is a newly-minted National Monument. 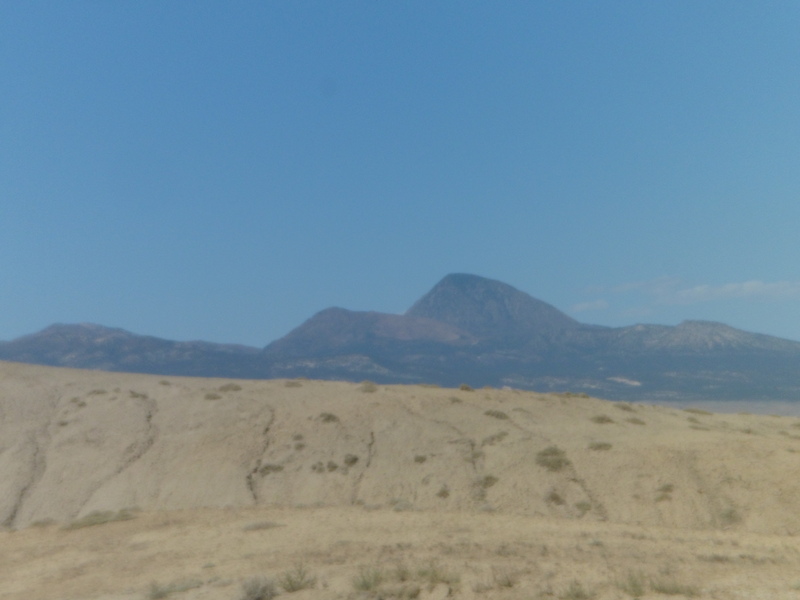 The one south of Towaoc lines up almost perfectly north of Ship Rock, New Mexico and south of Sleeping Ute Mountain. 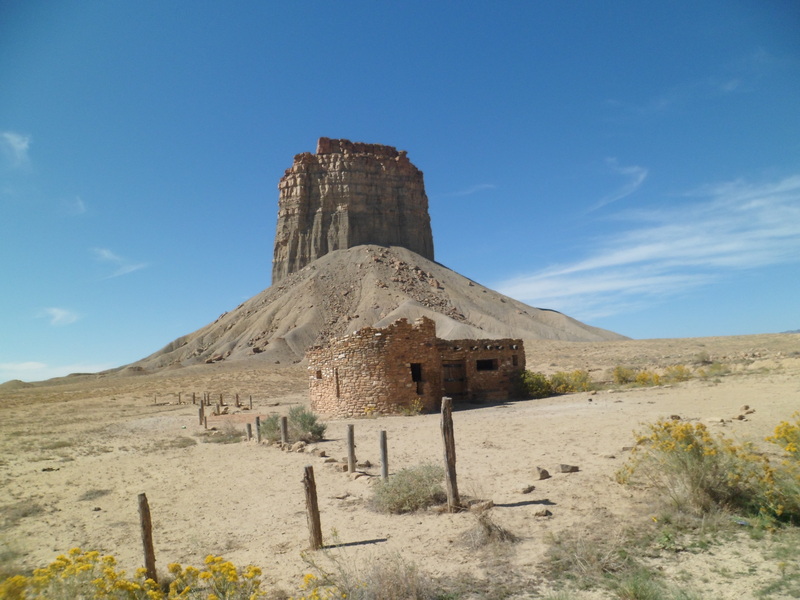 I stopped for several minutes at the Ute Mountain Chimney Rock, approaching it with reverence and contemplating its seeming relationships with Ship Rock and Sleeping Ute Mountain. The Four Corners has a raised platform, where one may simultaneously put a hand or foot on each of the four adjoining states: Arizona, Colorado, New Mexico and Utah. 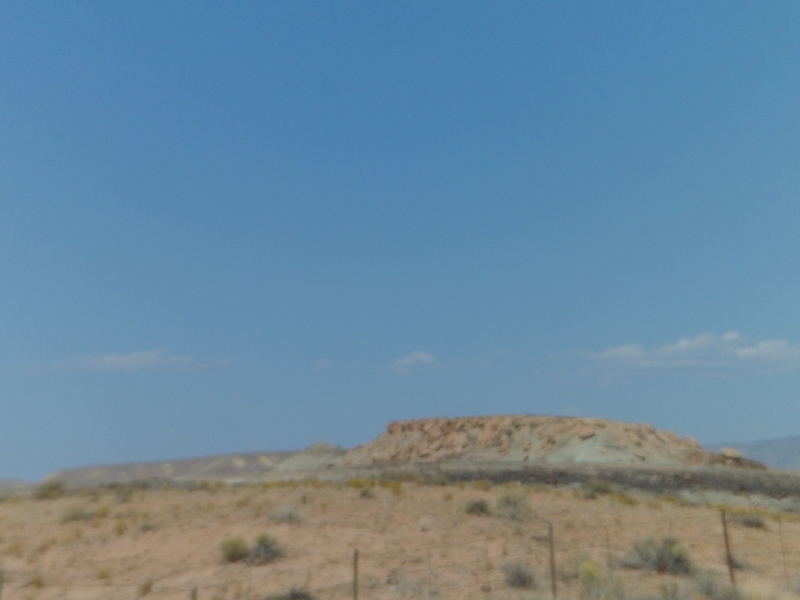 To me, Mother Earth has her own monument to this accident of politics: It’s the small rock formation, which is just at the northwest tip of New Mexico, seen below. Just north of Flagstaff, the San Francisco Peaks, sacred to several indigenous nations, rise up and offer seasonal foliage of their own. The peaks told me I was close to the end of my journey, and after a satisfying supper at Macy’s European Coffee House, I was a short hour and twenty minutes away. Now, I have five weeks of being in one place.